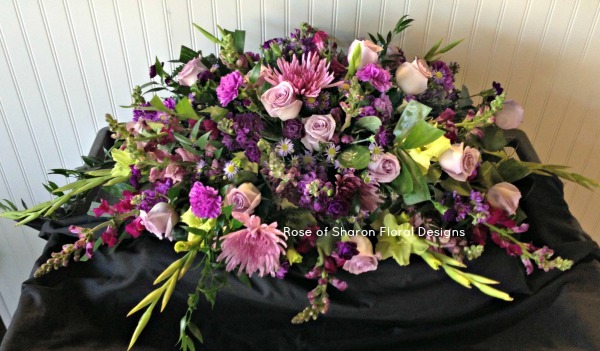 Coordinating pieces from the family: standing sprays, casket spray and floor piece. 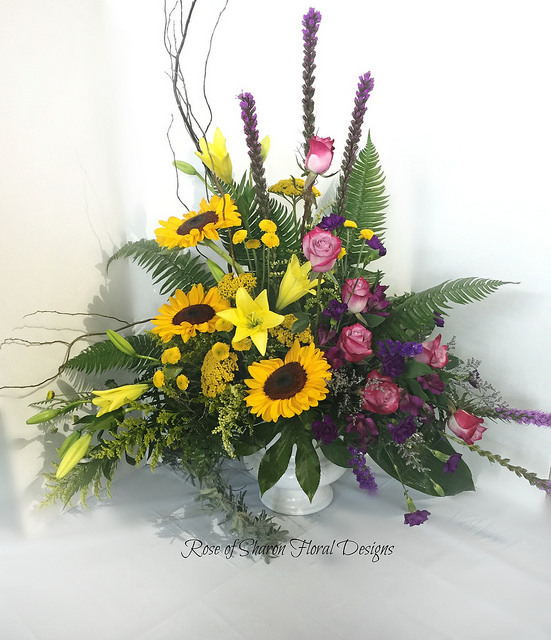 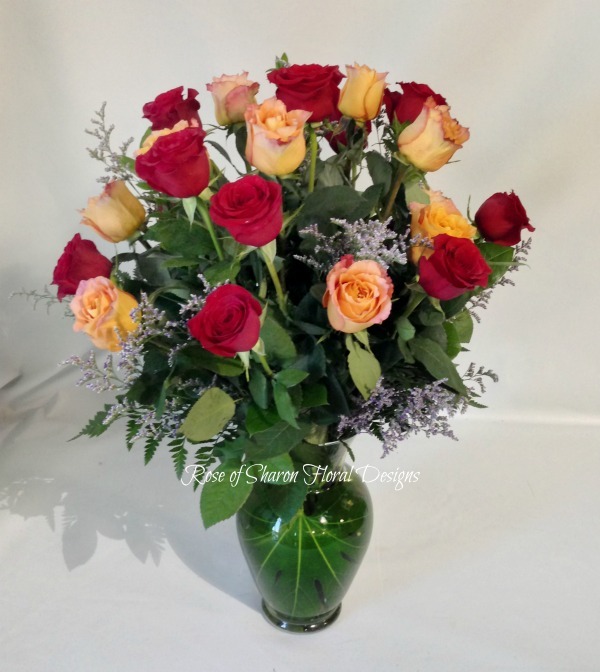 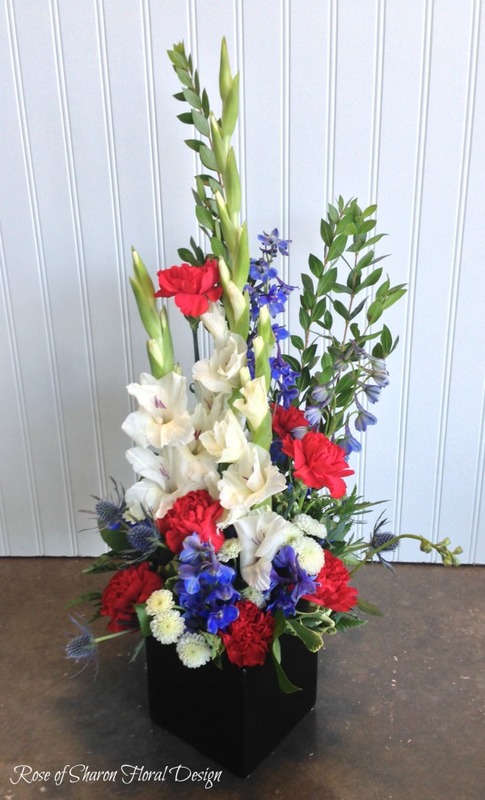 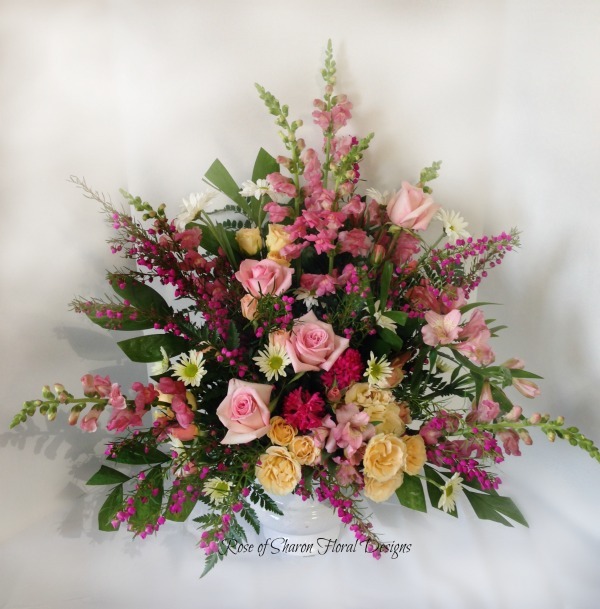 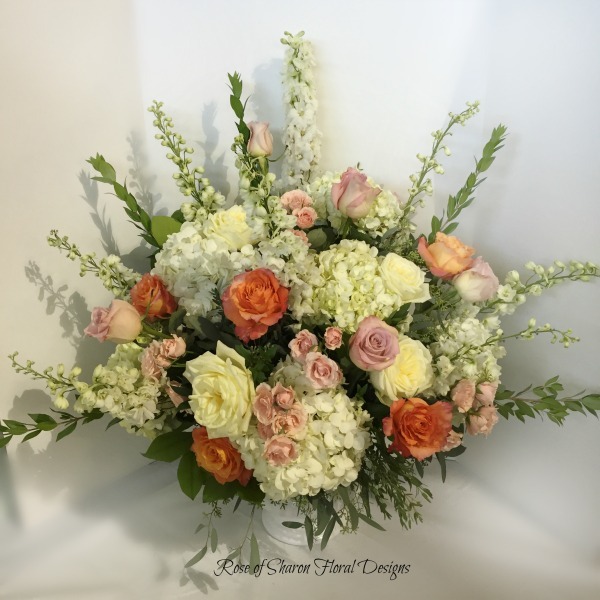 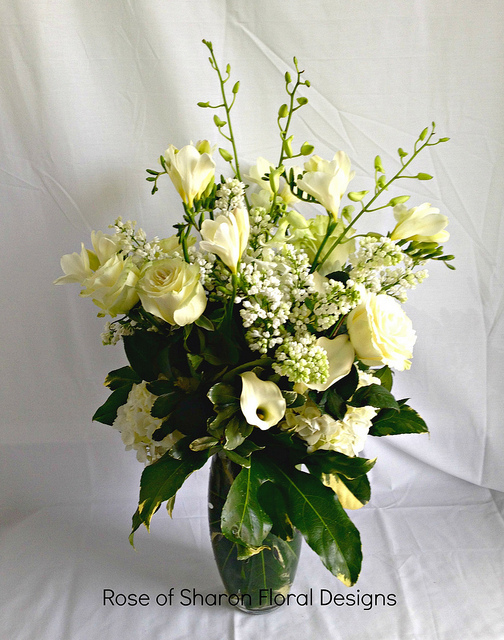 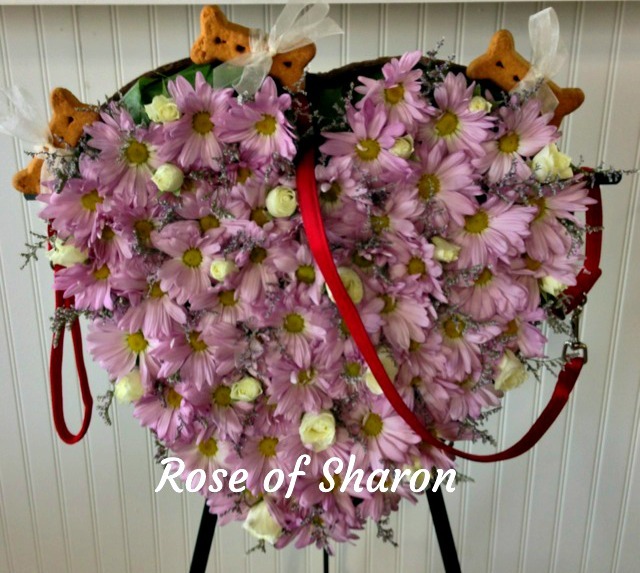 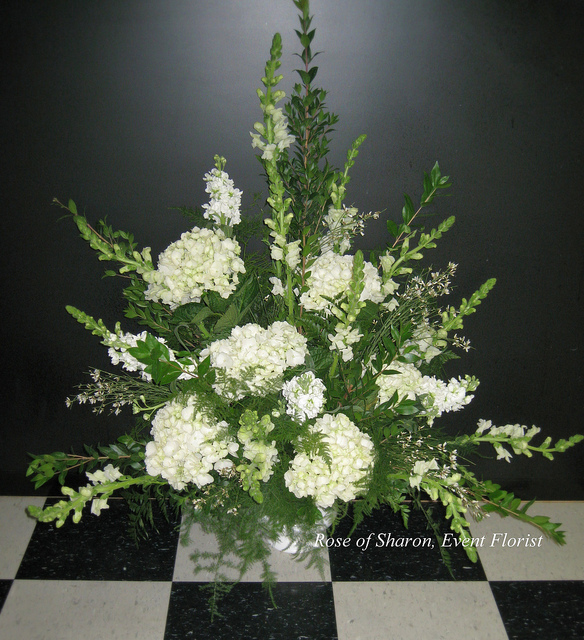 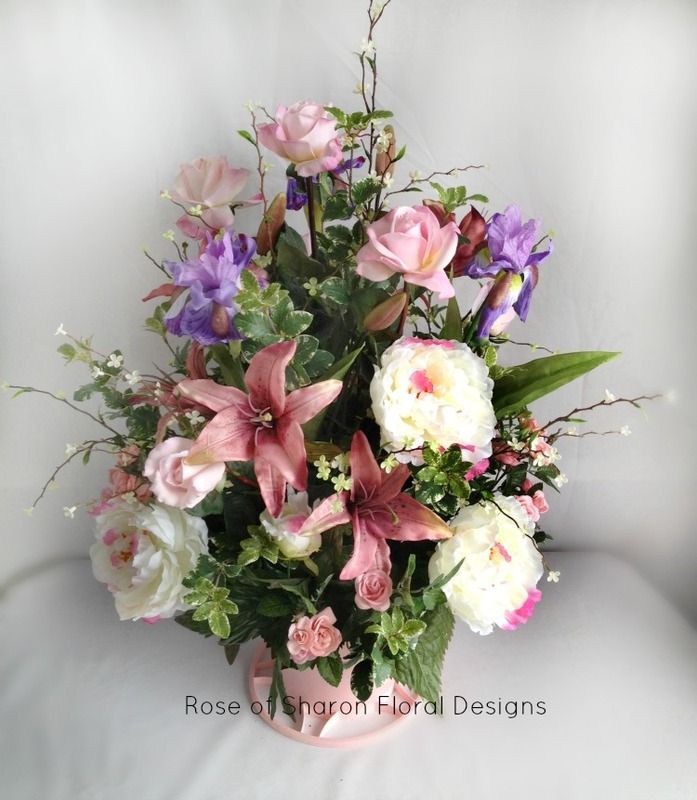 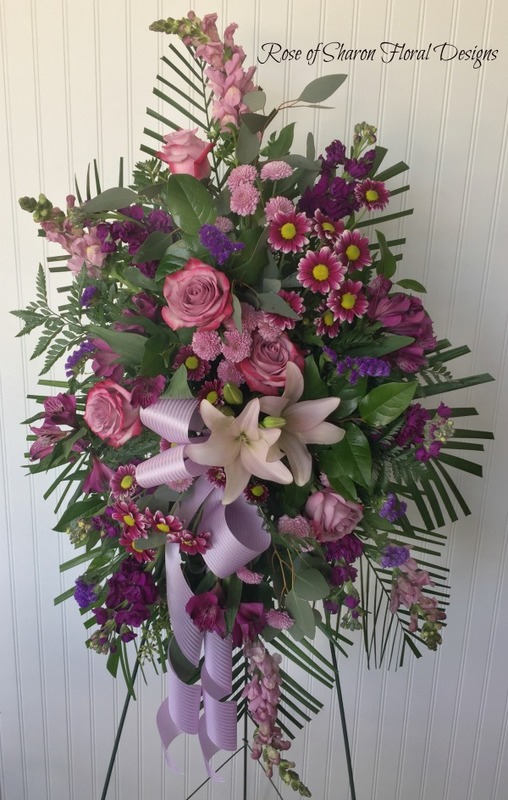 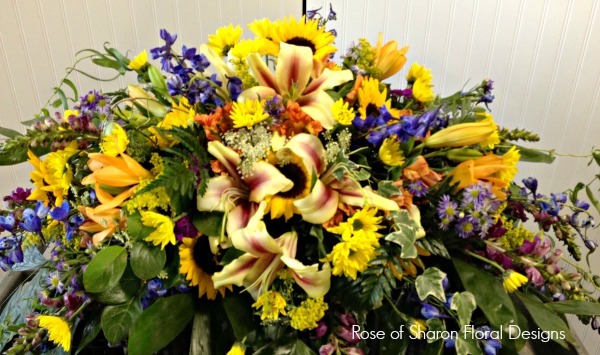 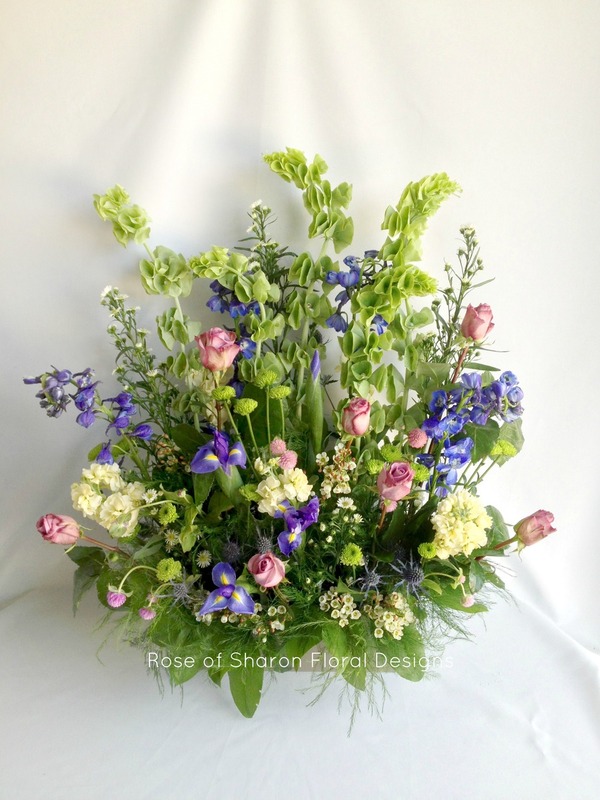 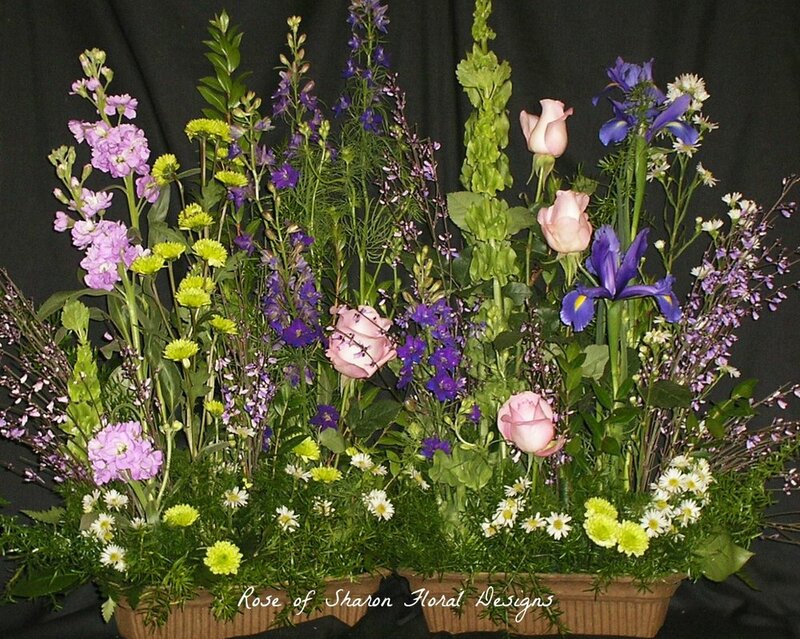 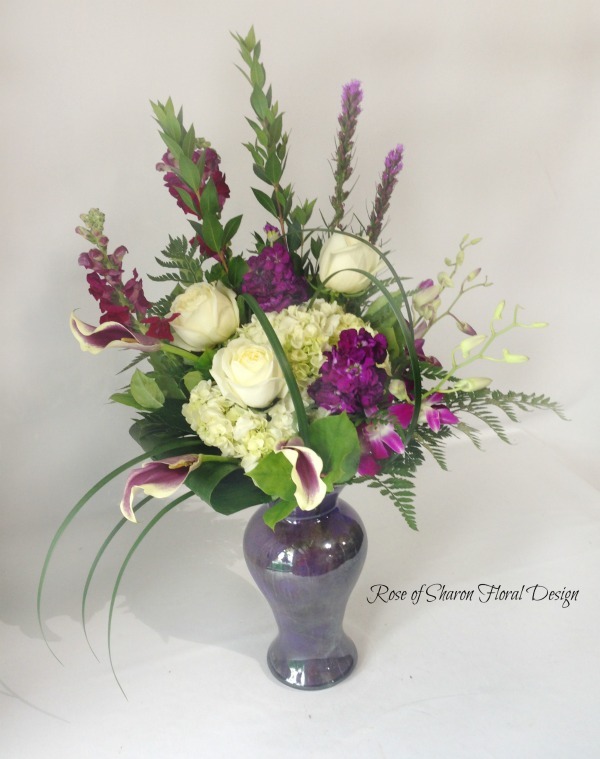 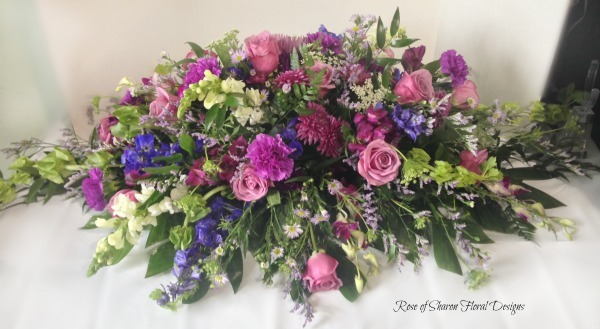 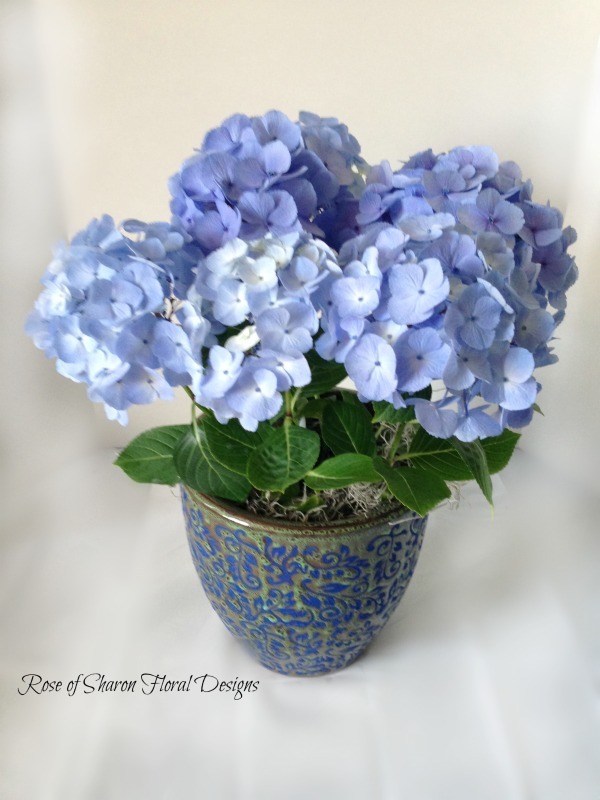 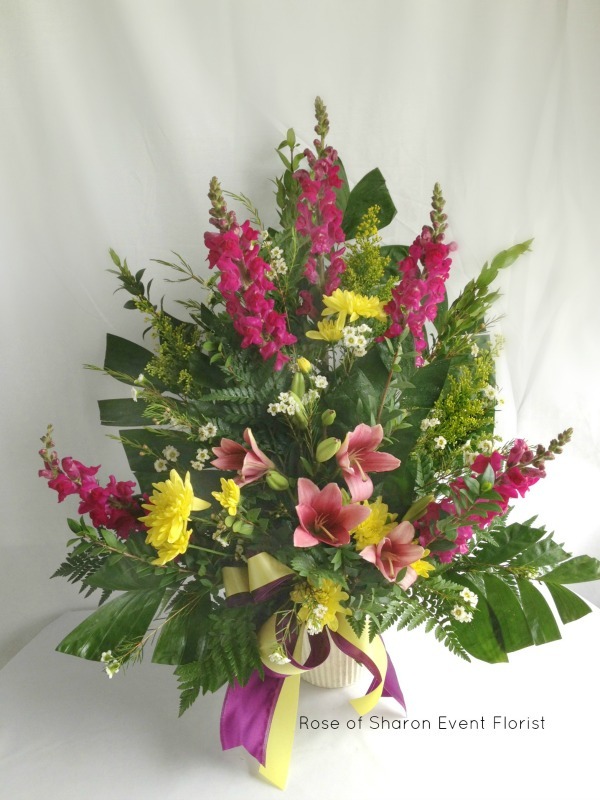 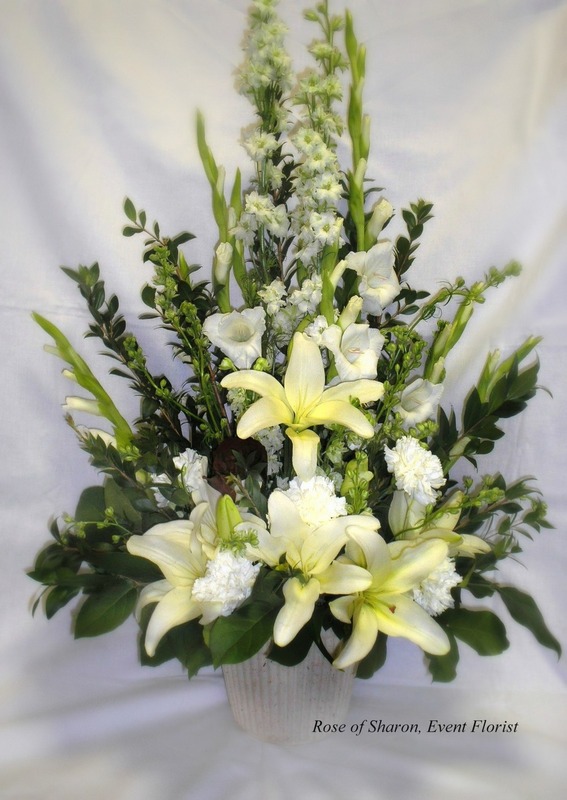 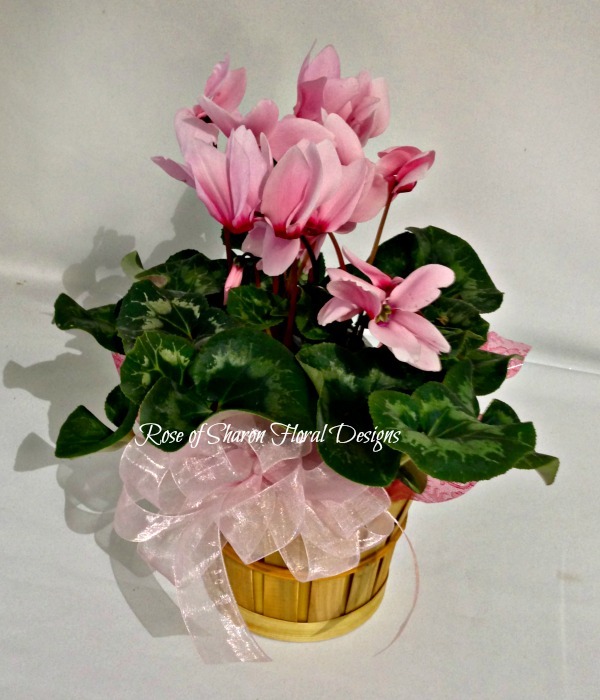 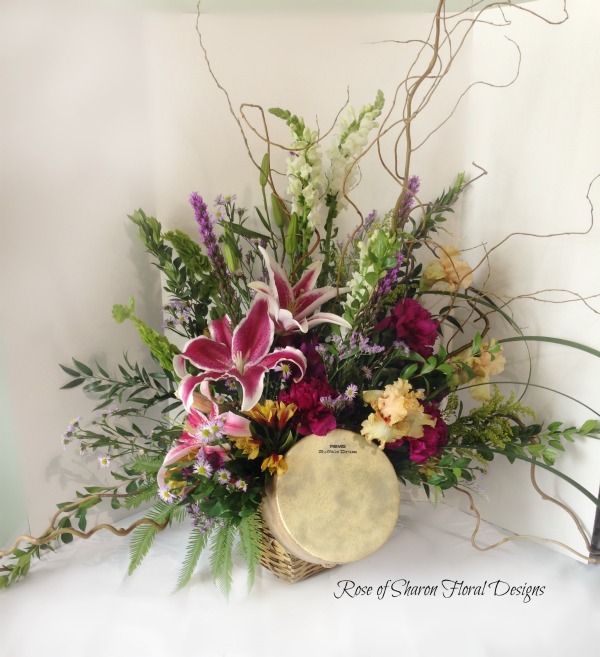 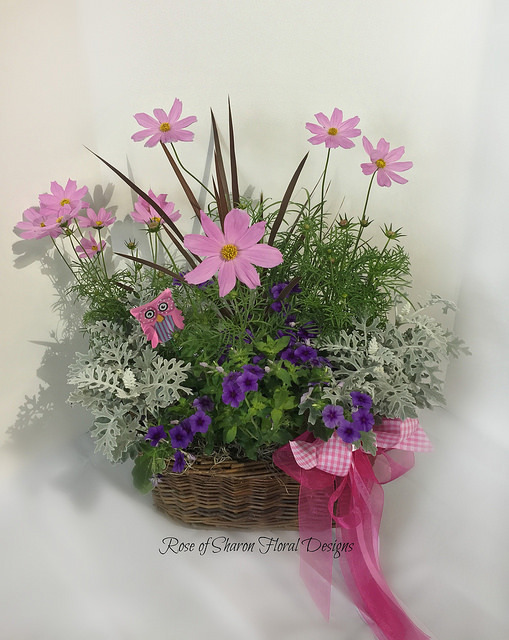 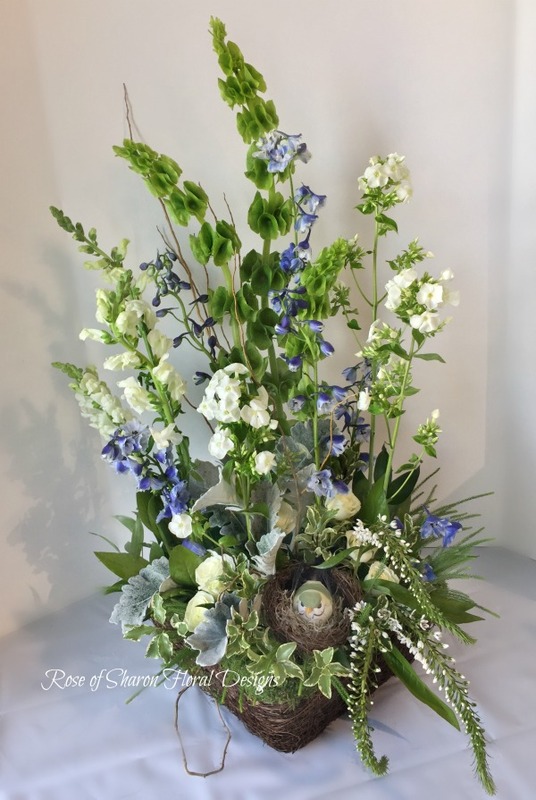 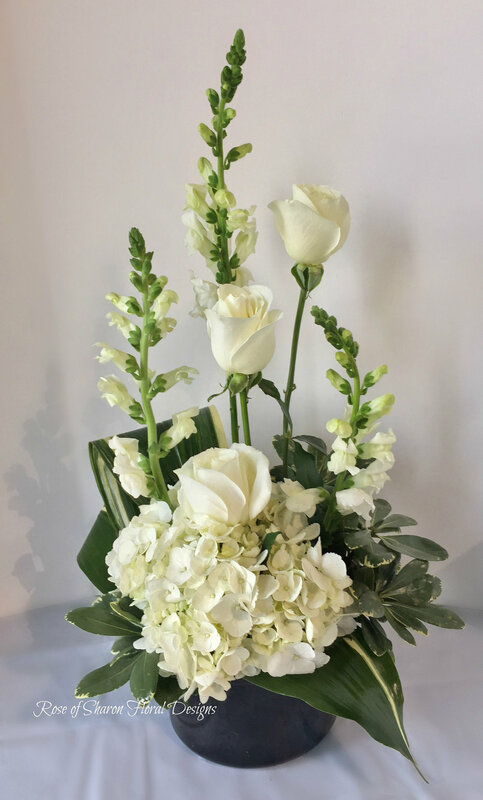 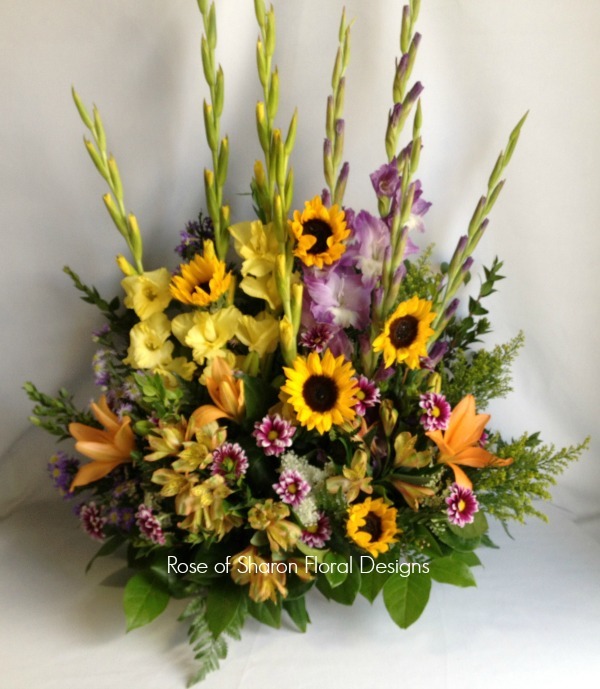 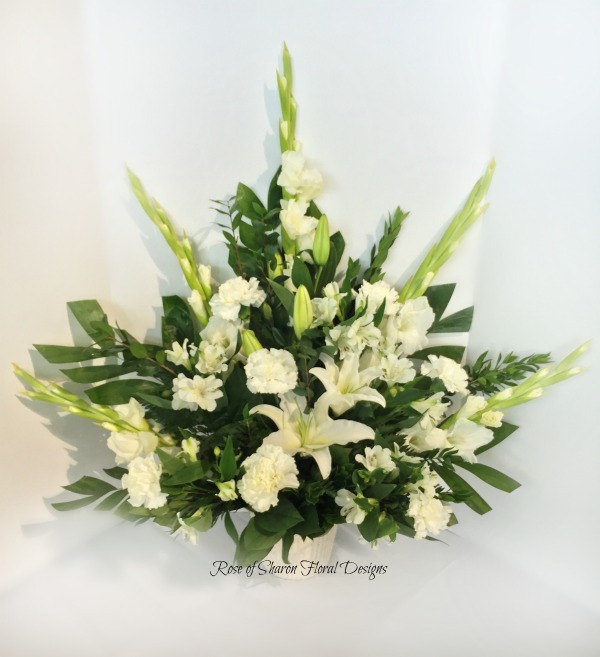 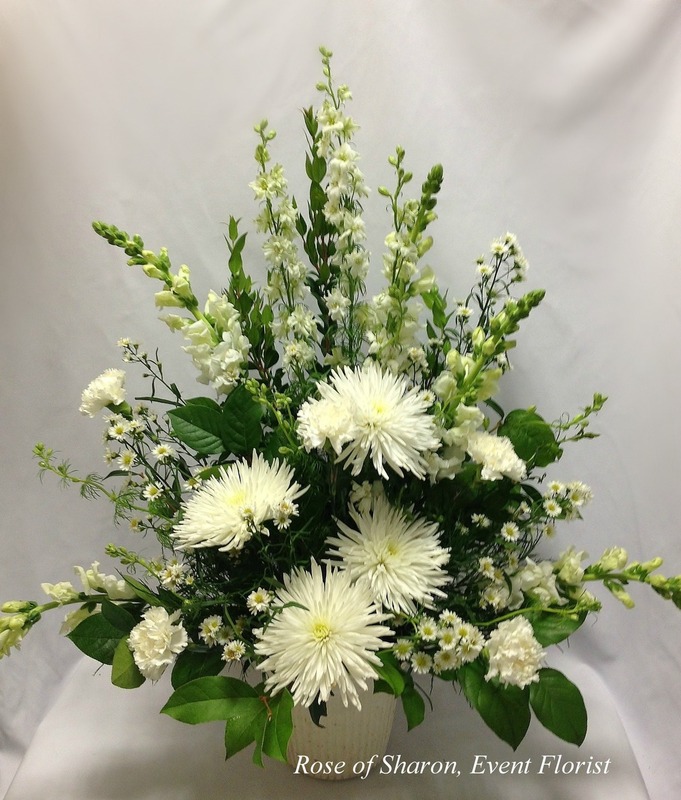 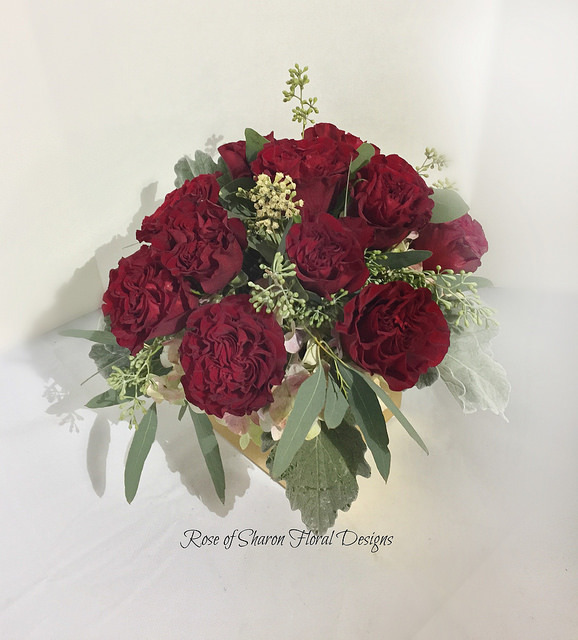 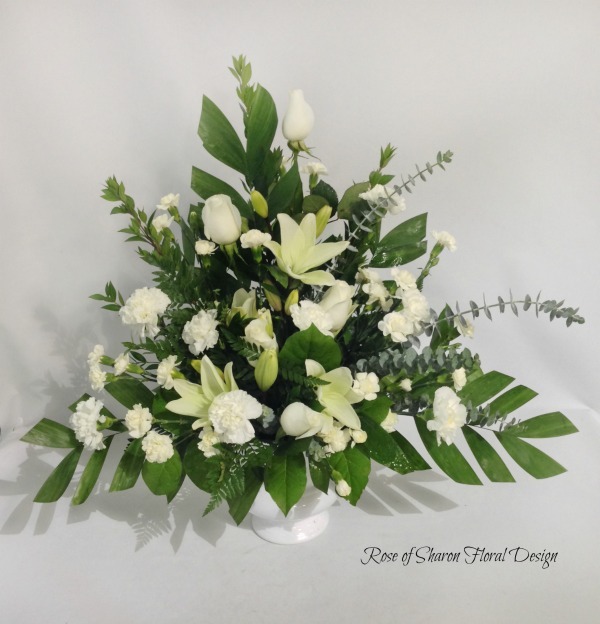 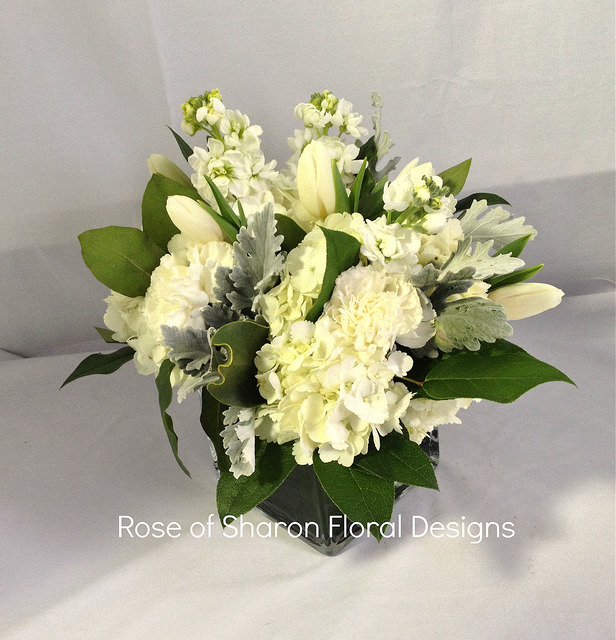 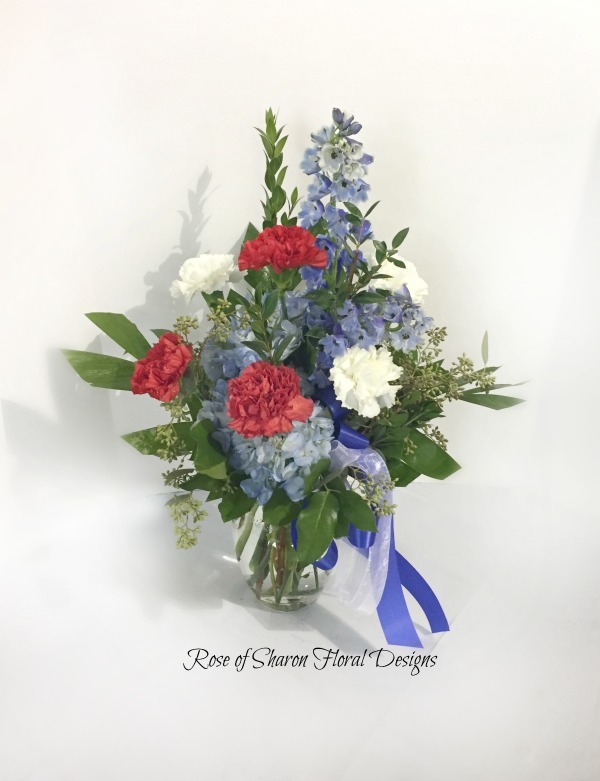 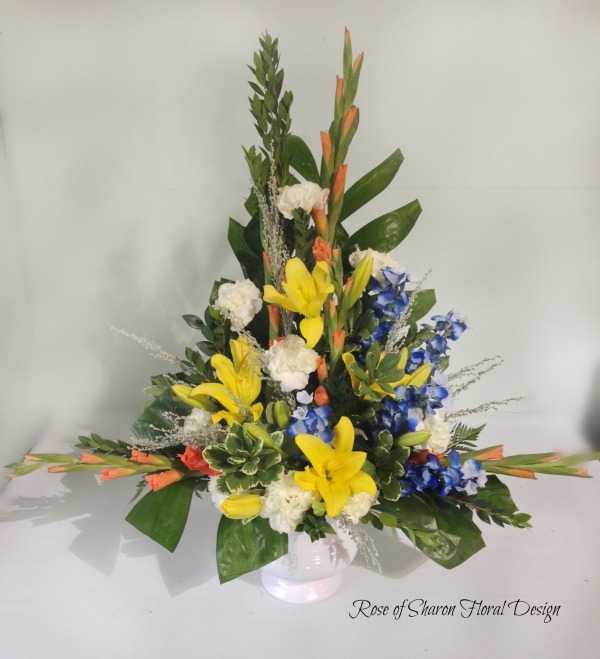 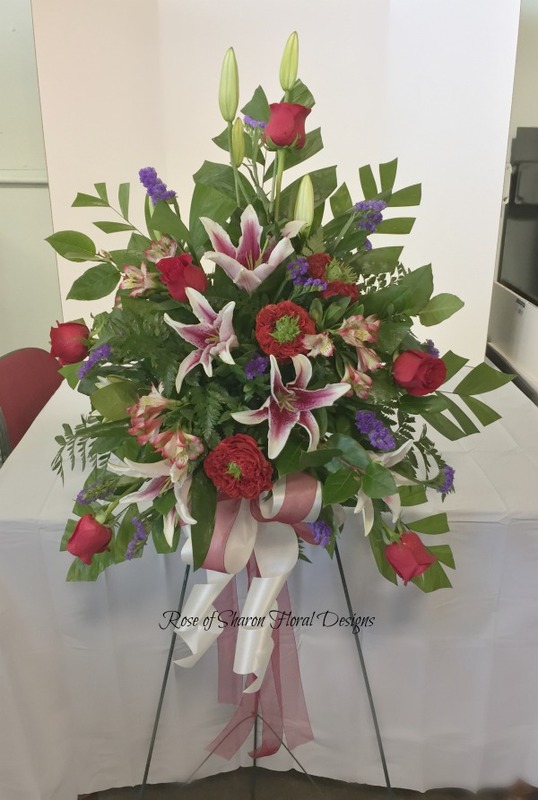 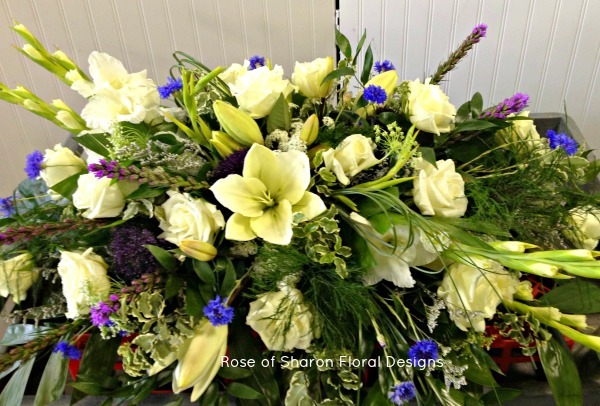 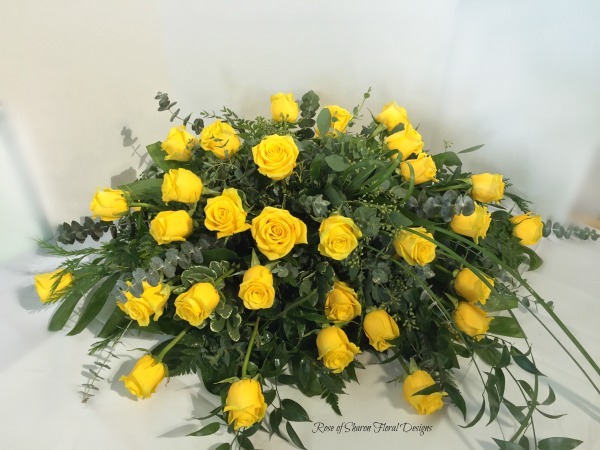 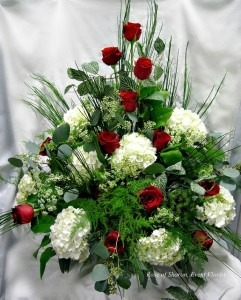 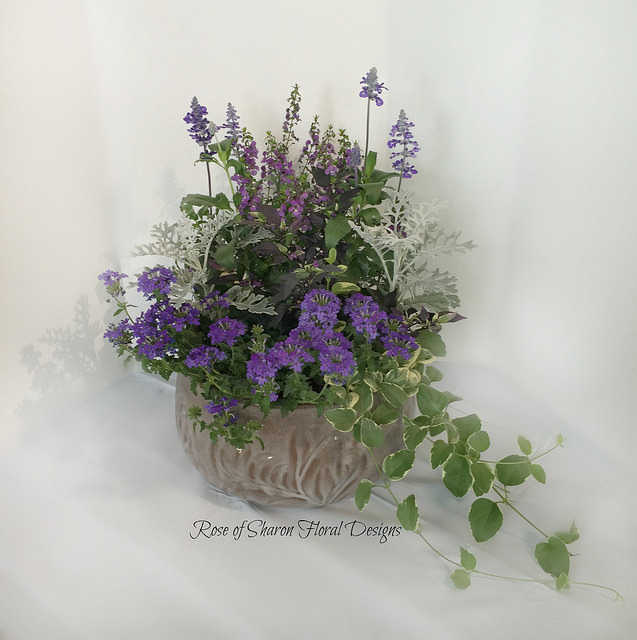 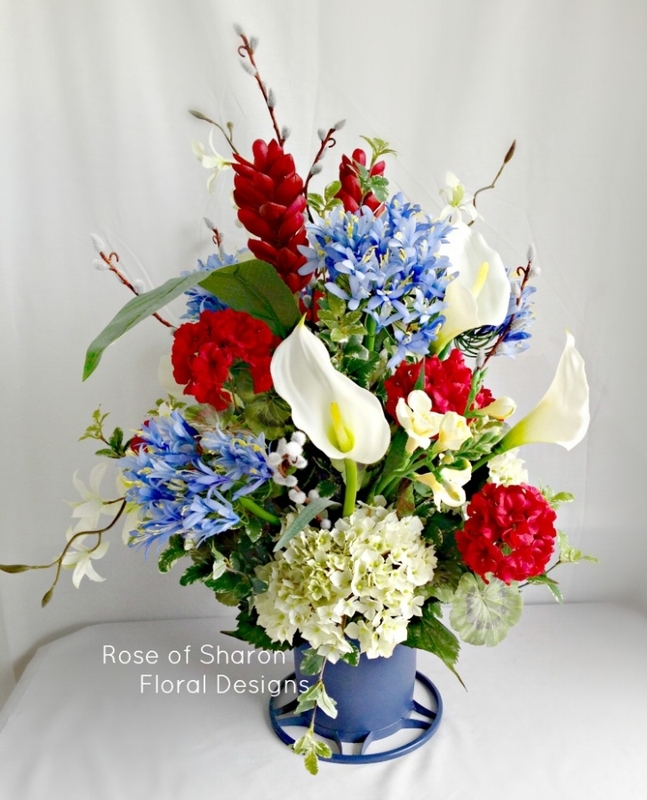 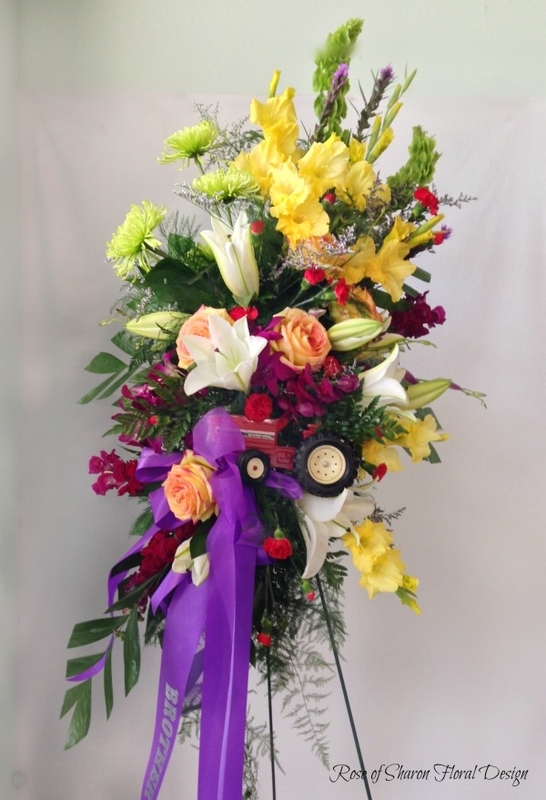 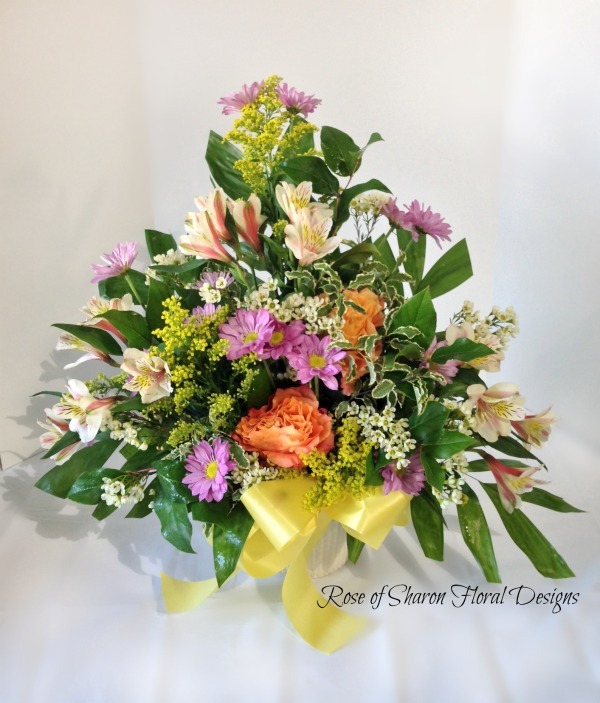 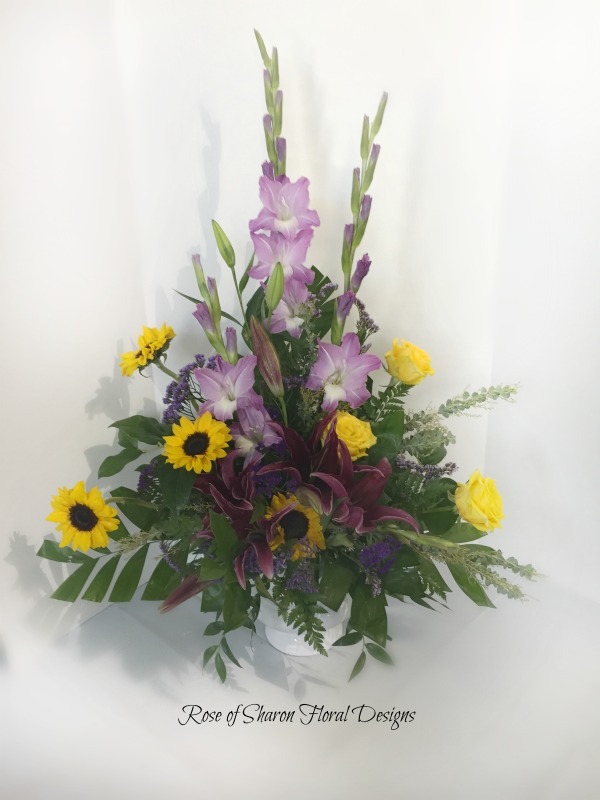 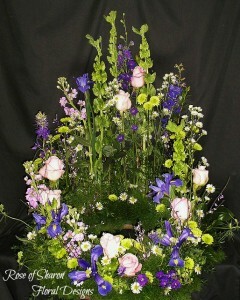 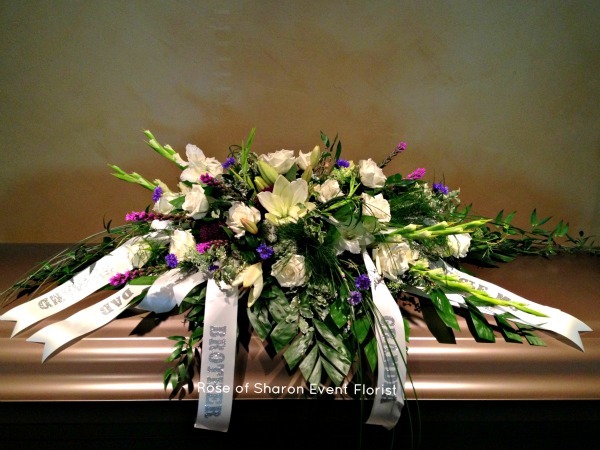 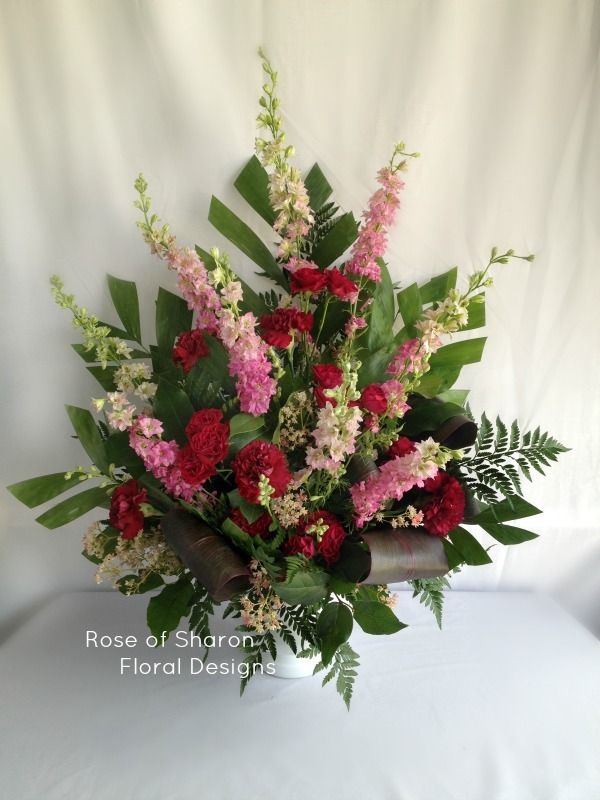 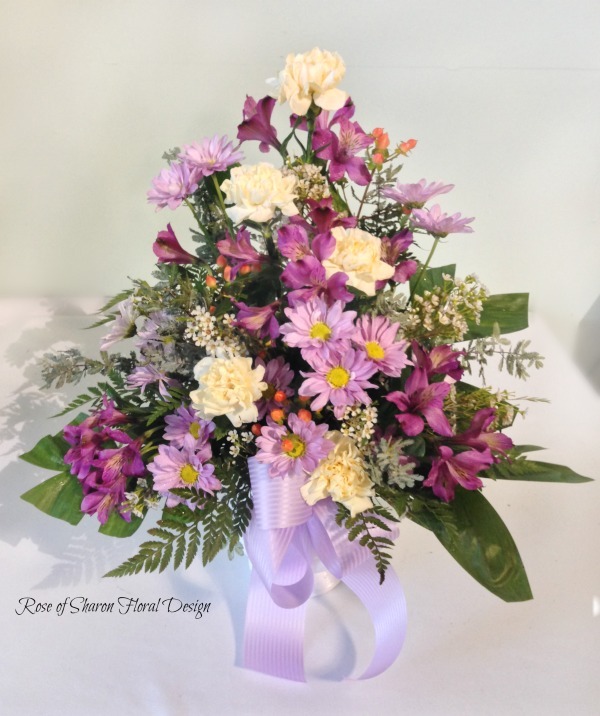 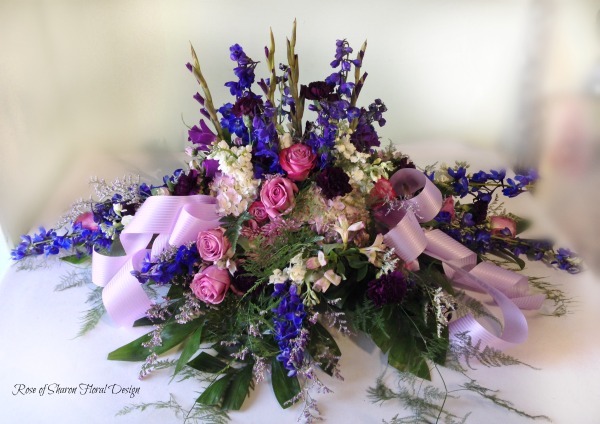 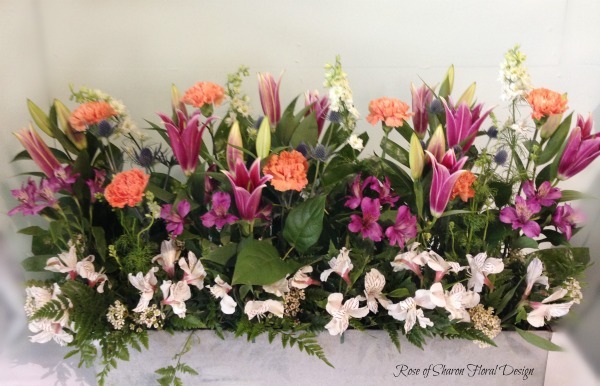 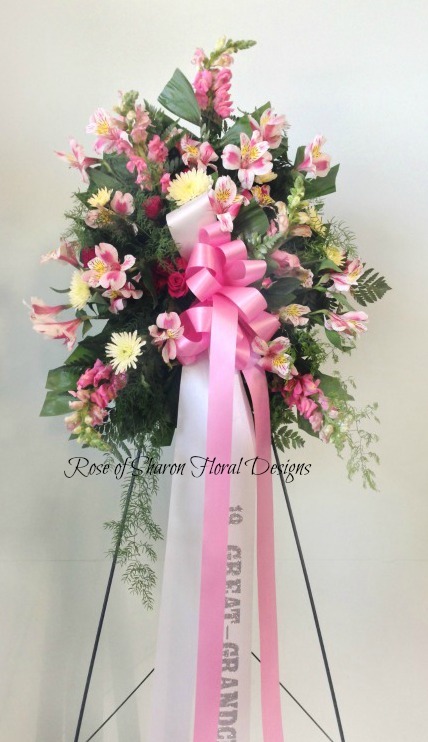 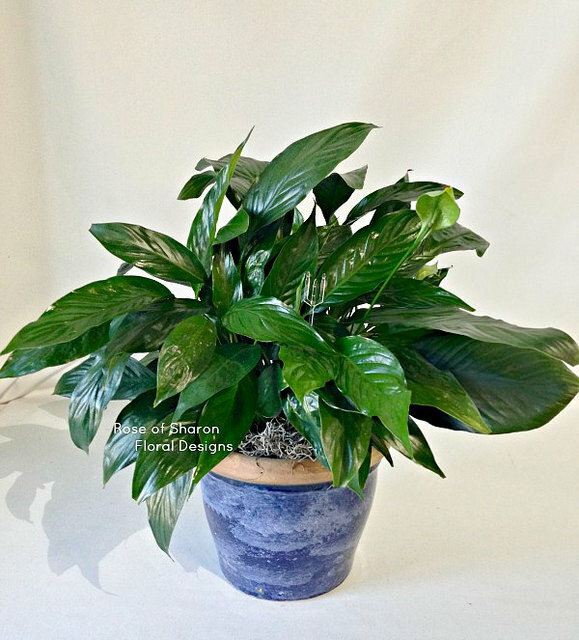 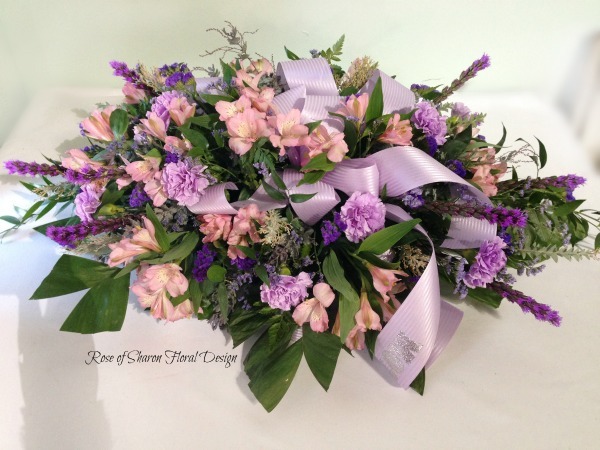 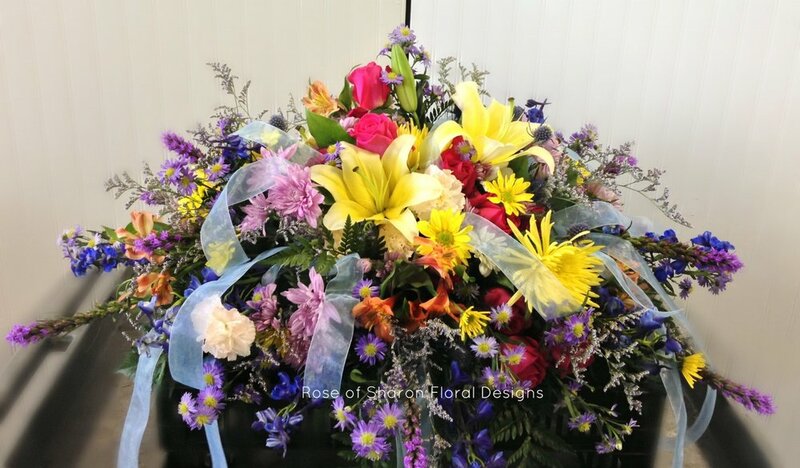 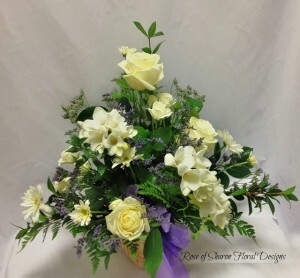 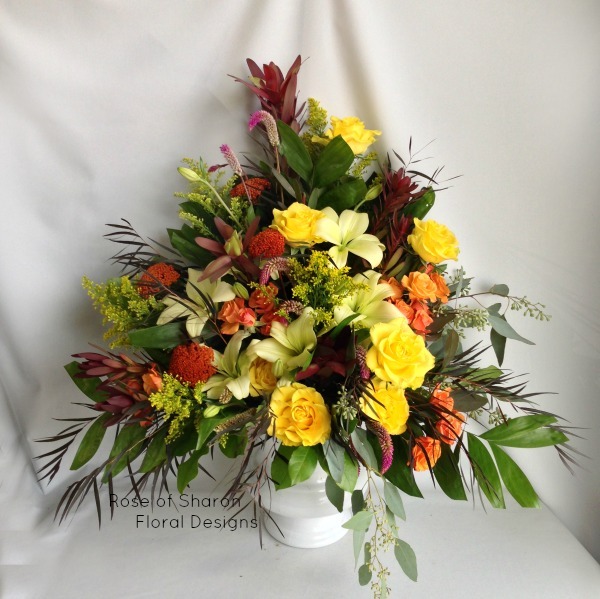 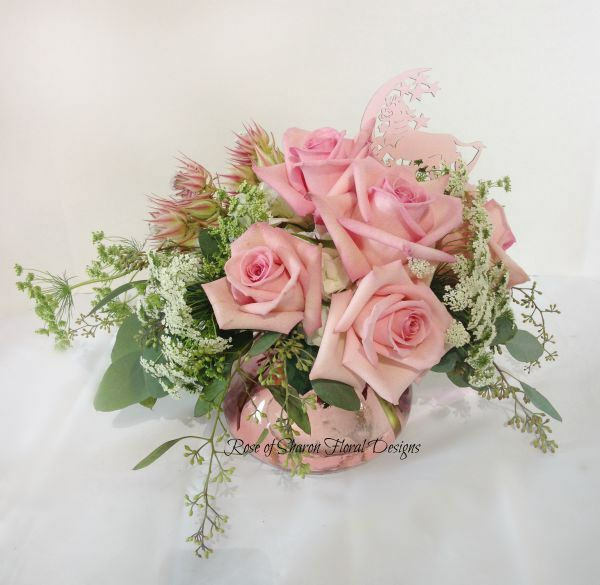 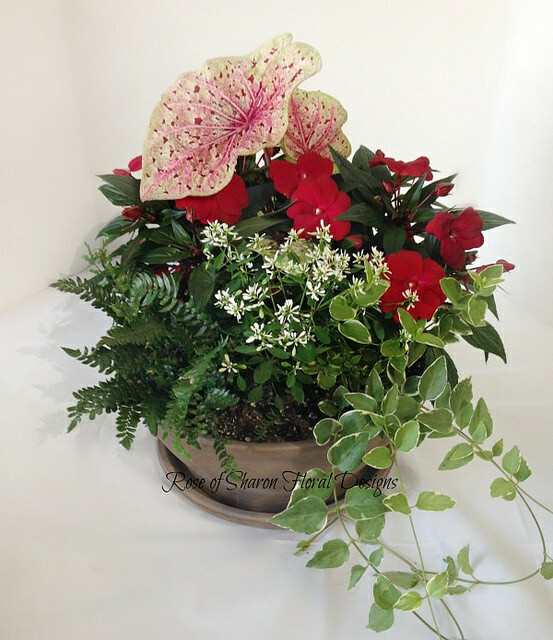 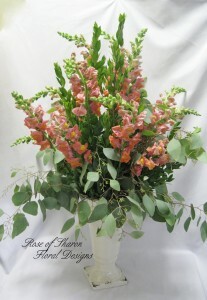 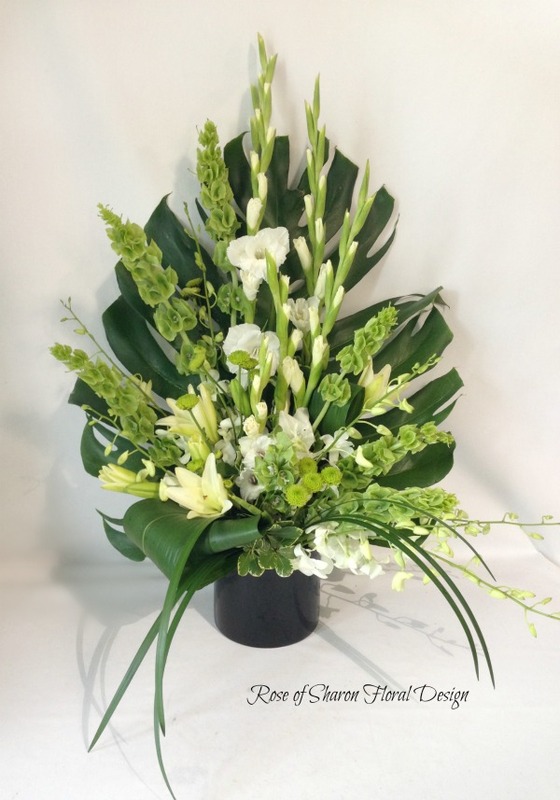 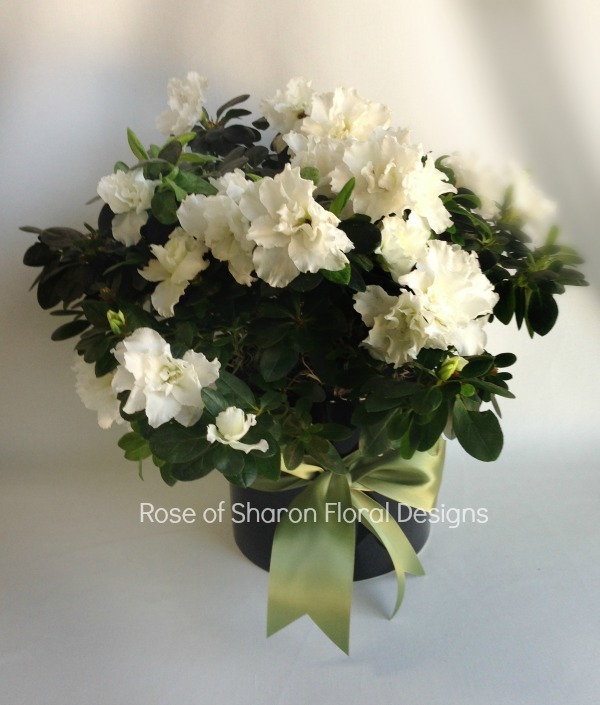 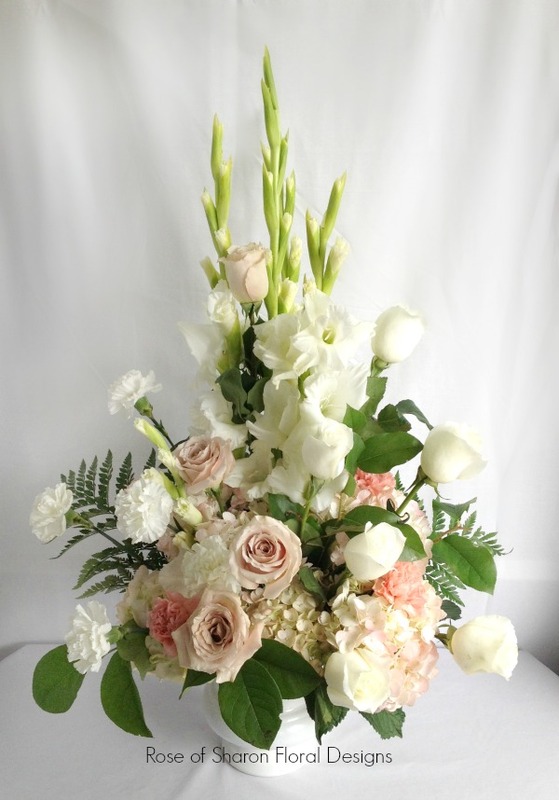 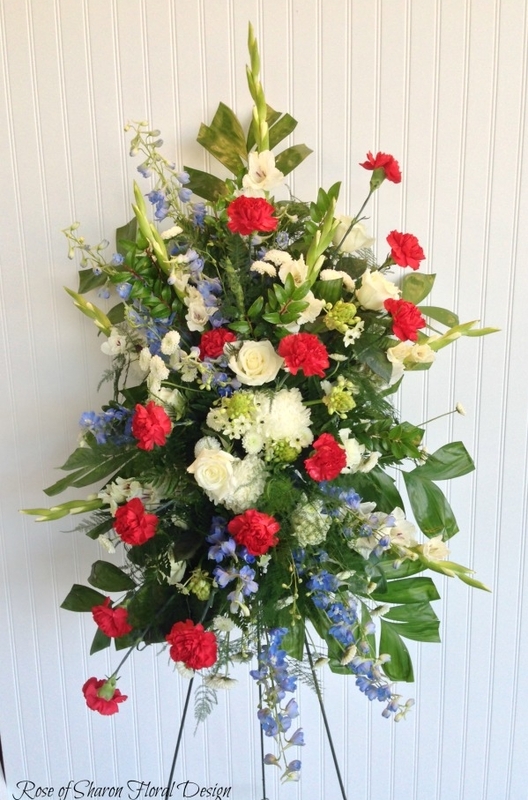 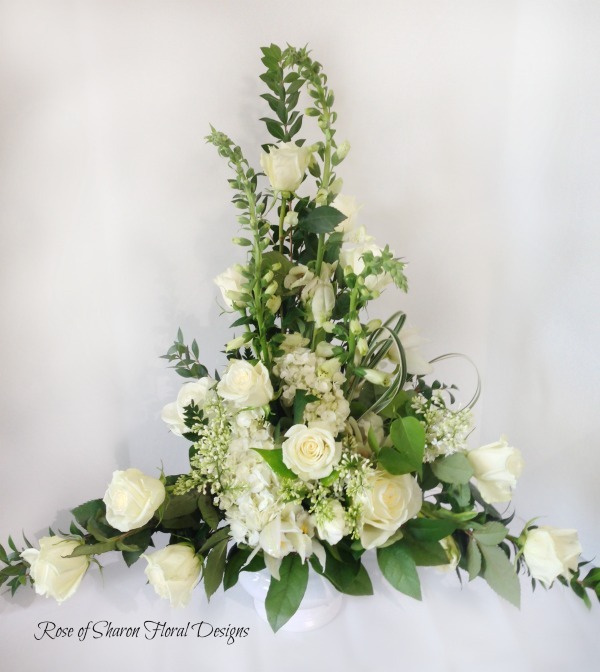 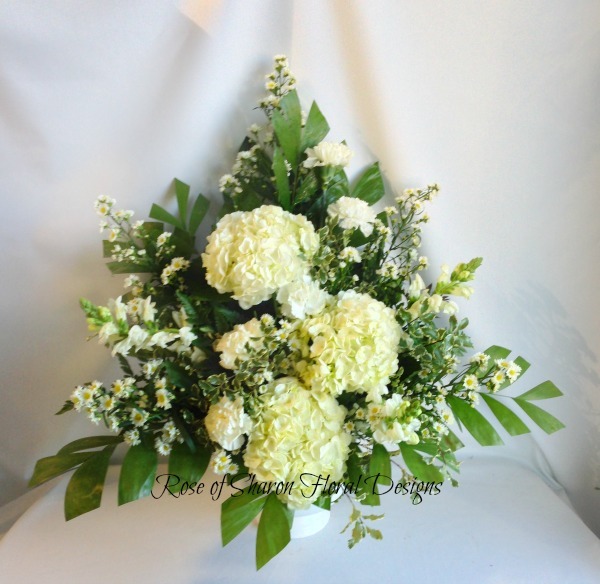 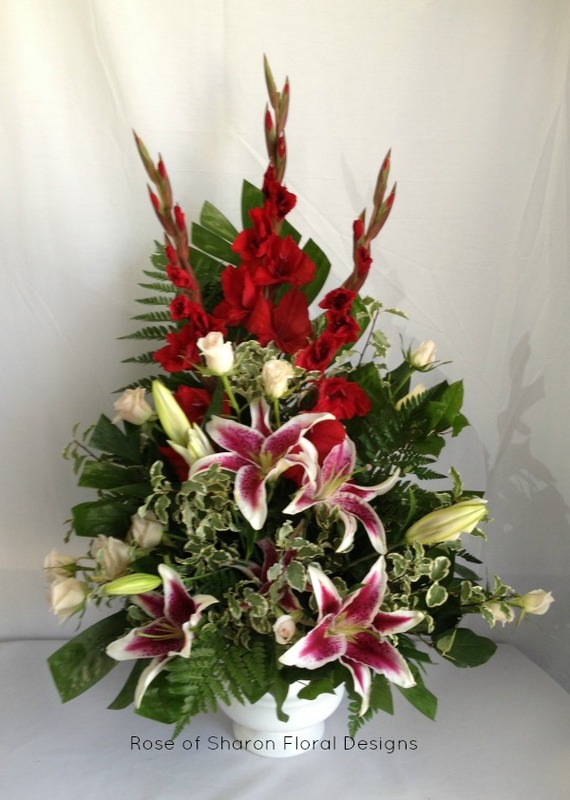 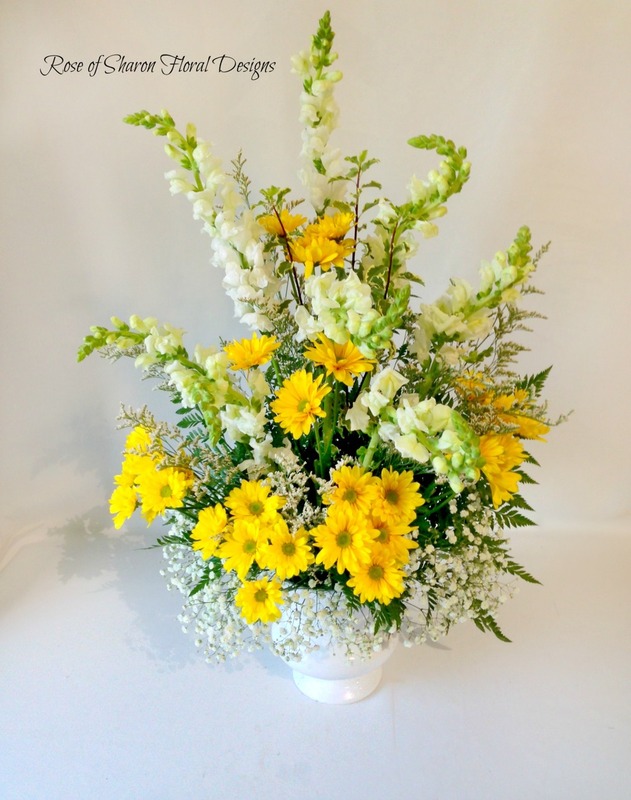 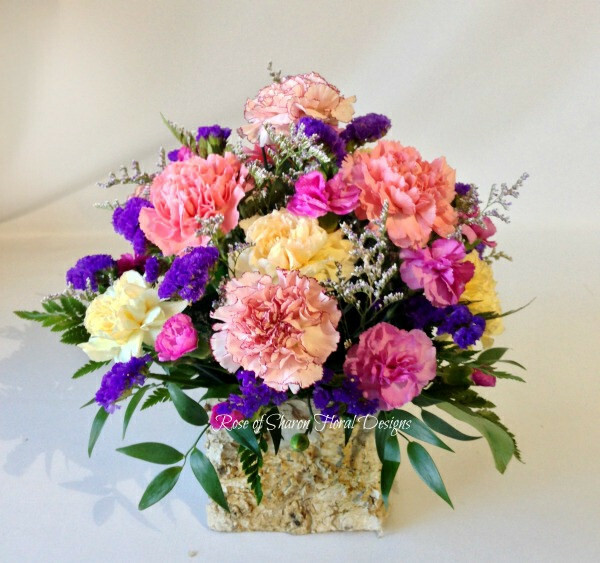 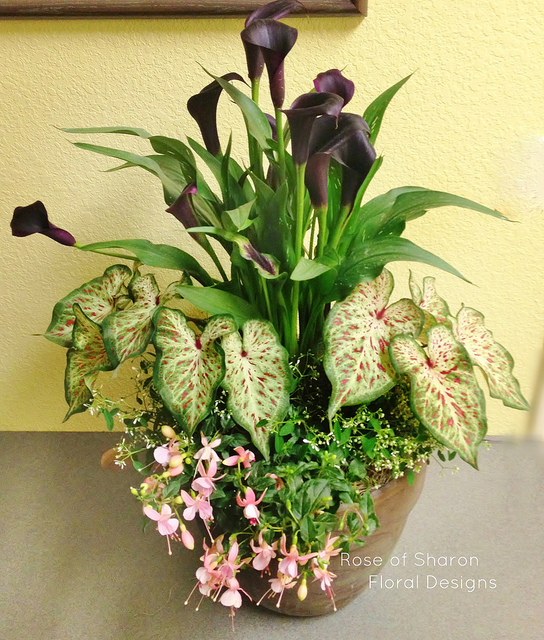 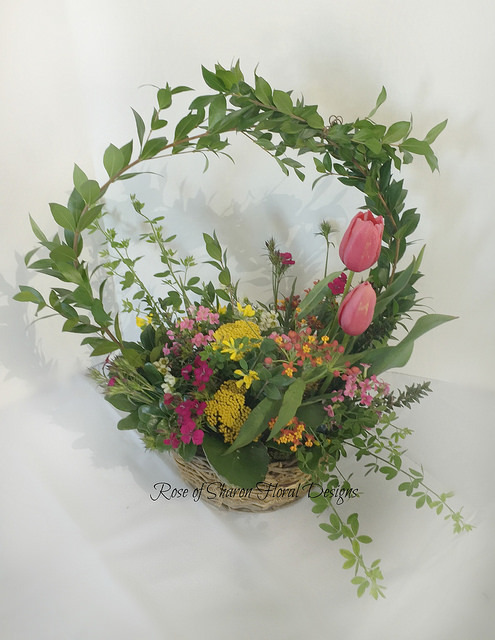 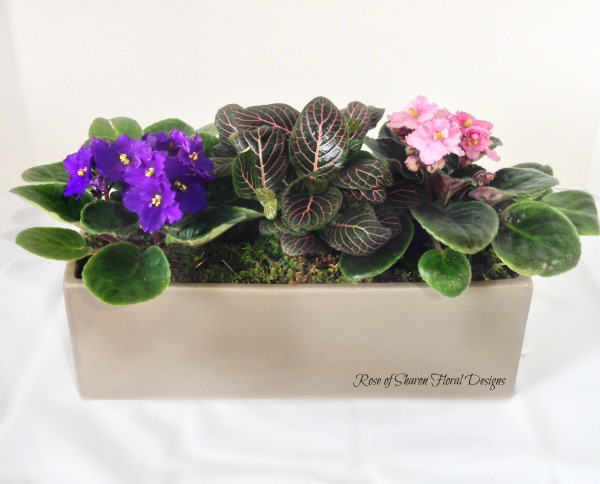 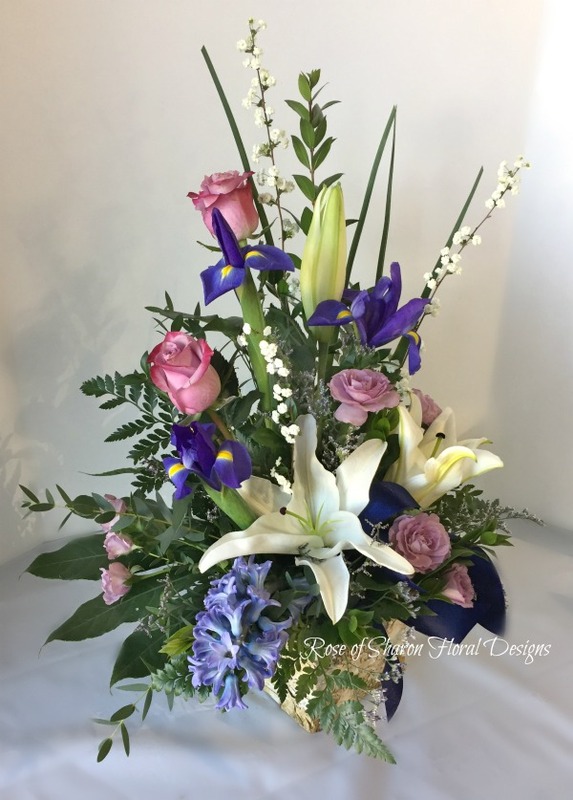 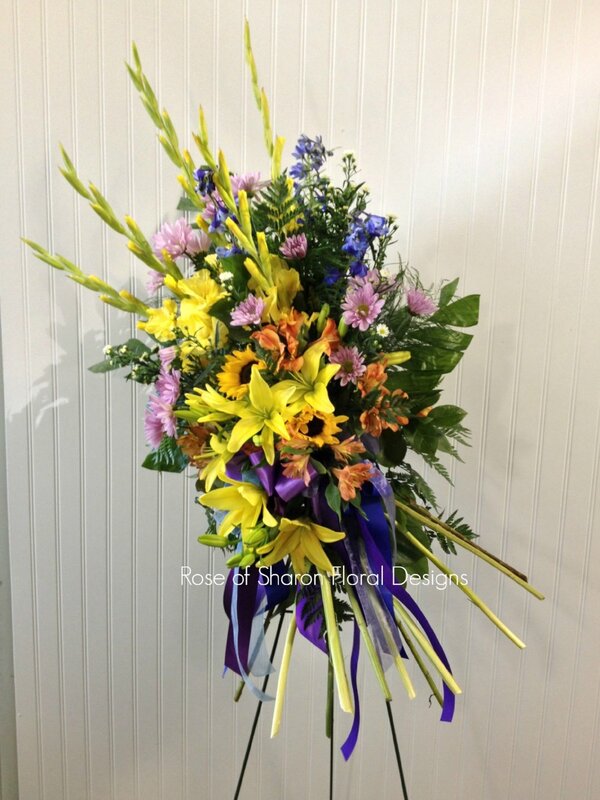 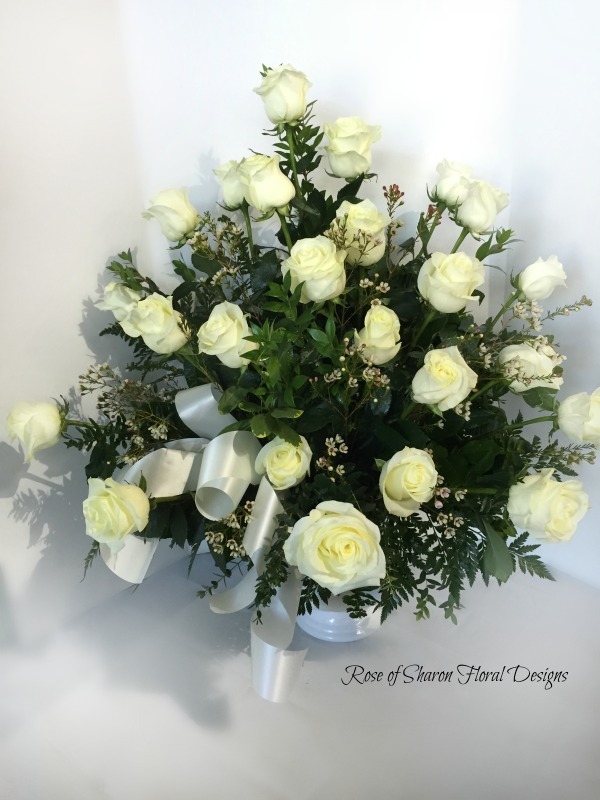 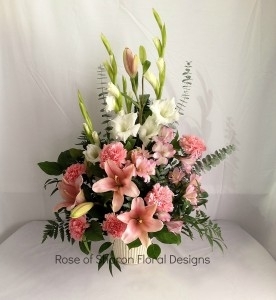 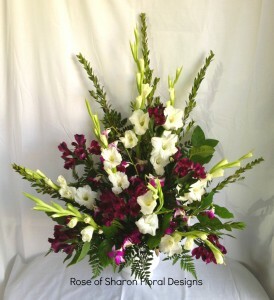 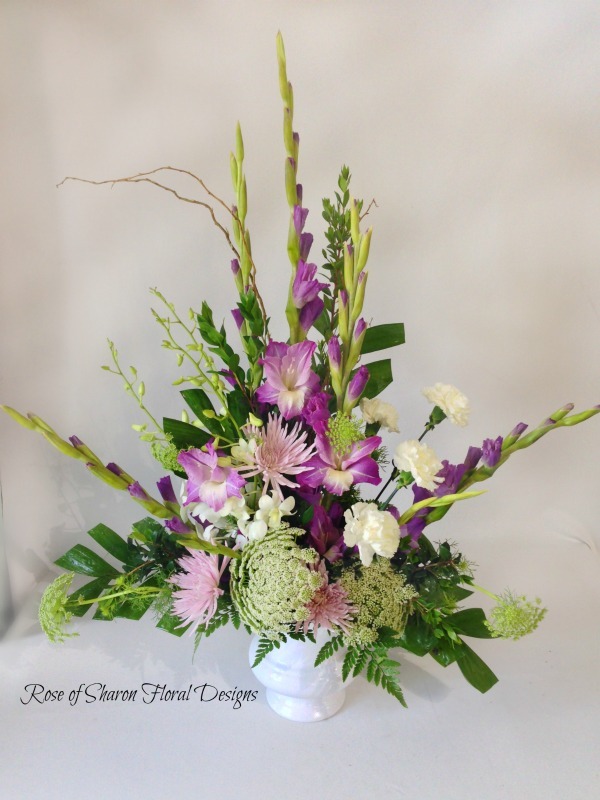 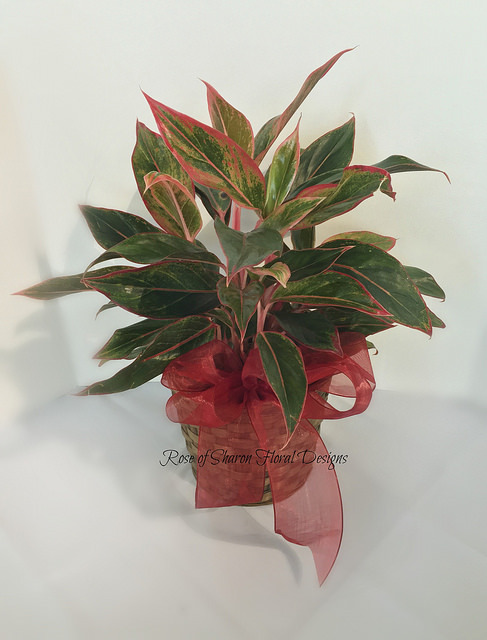 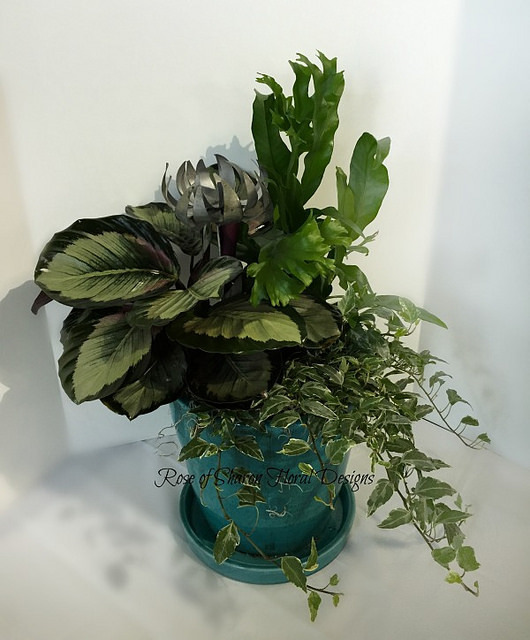 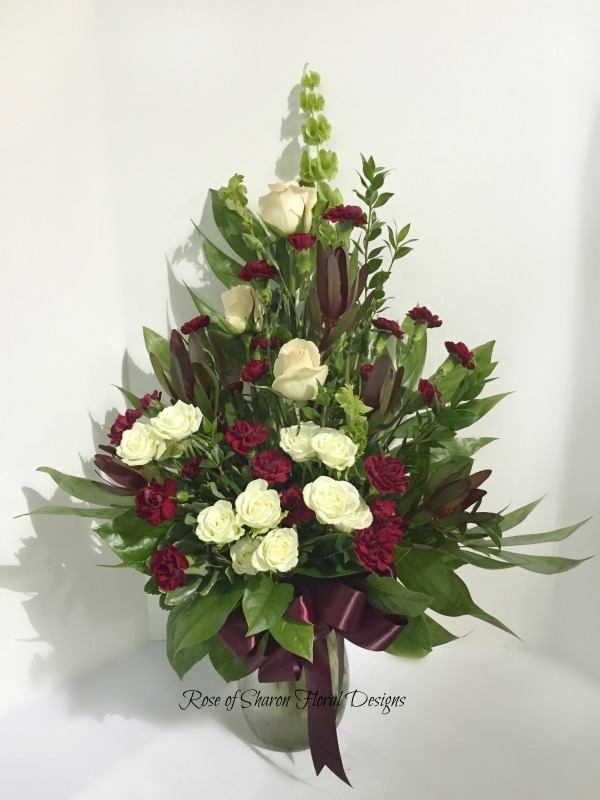 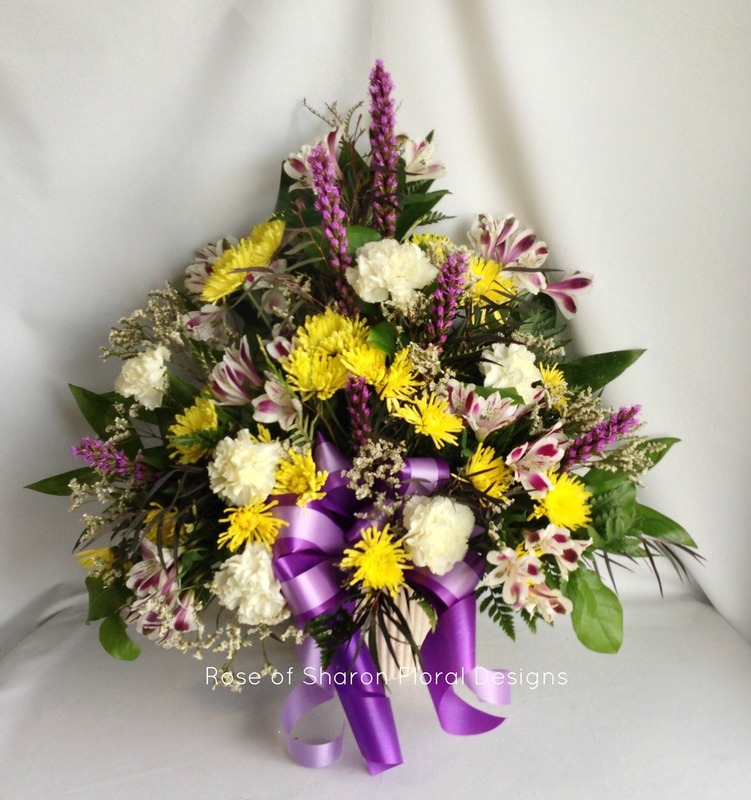 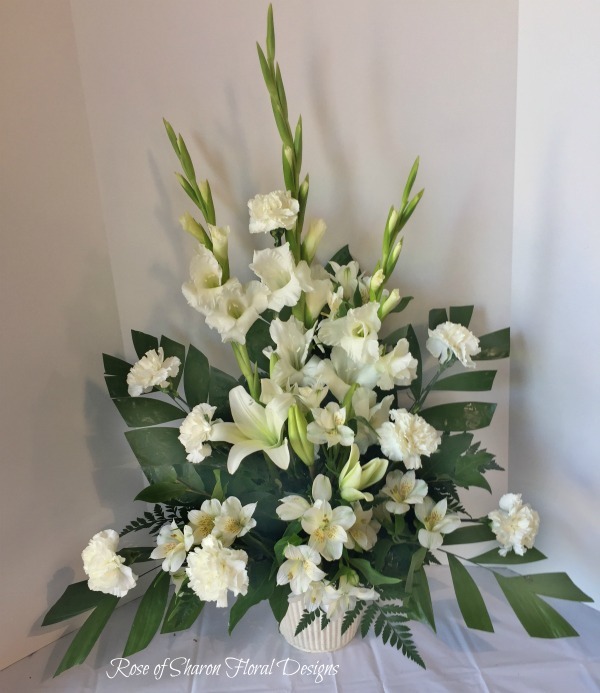 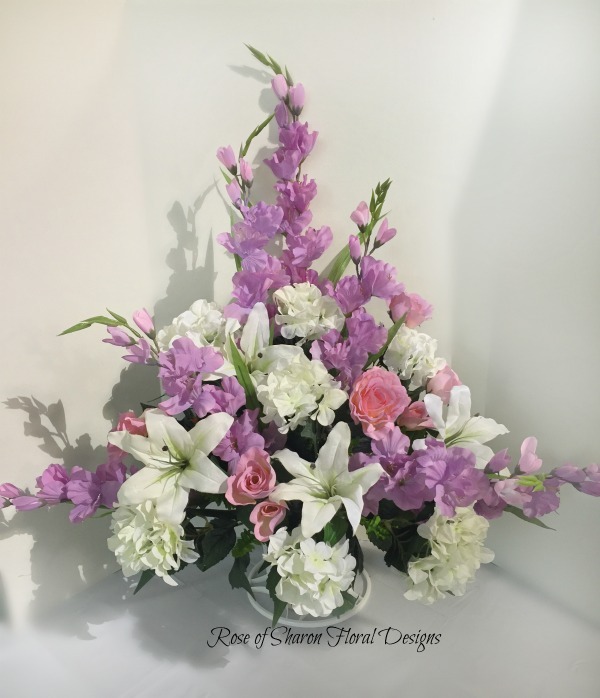 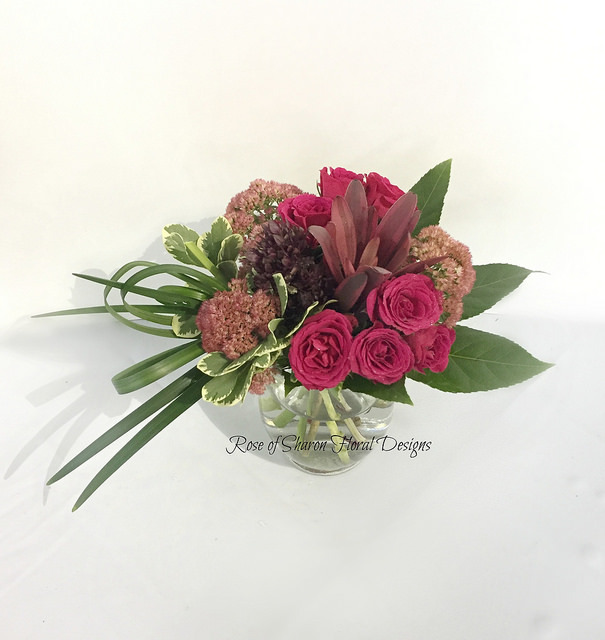 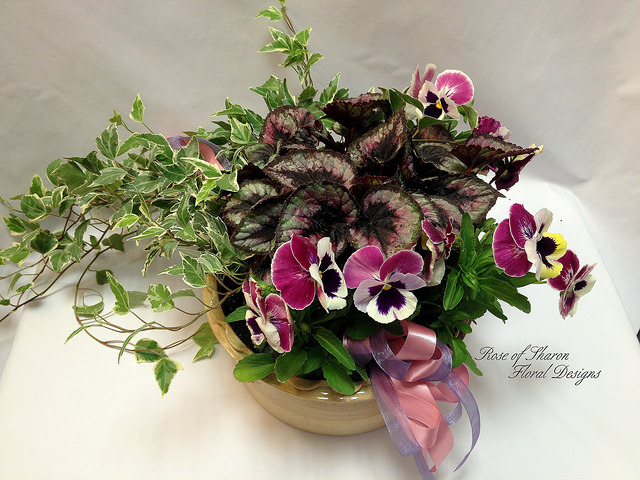 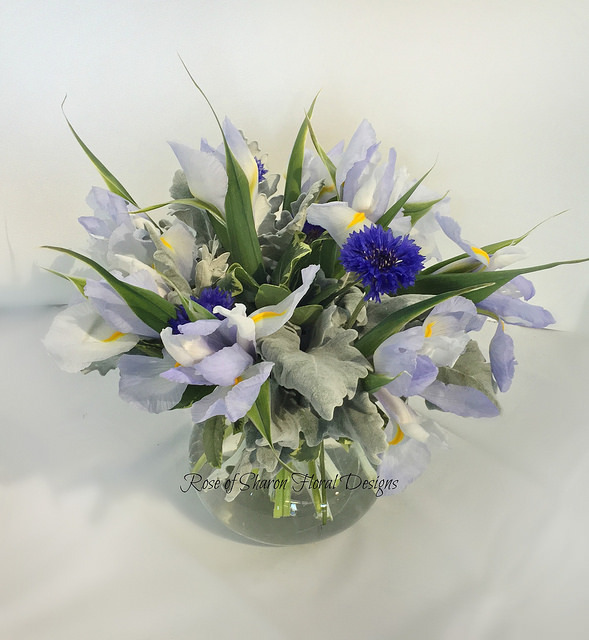 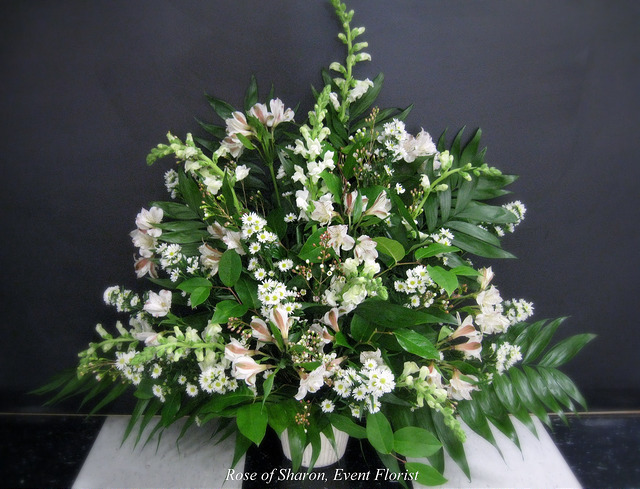 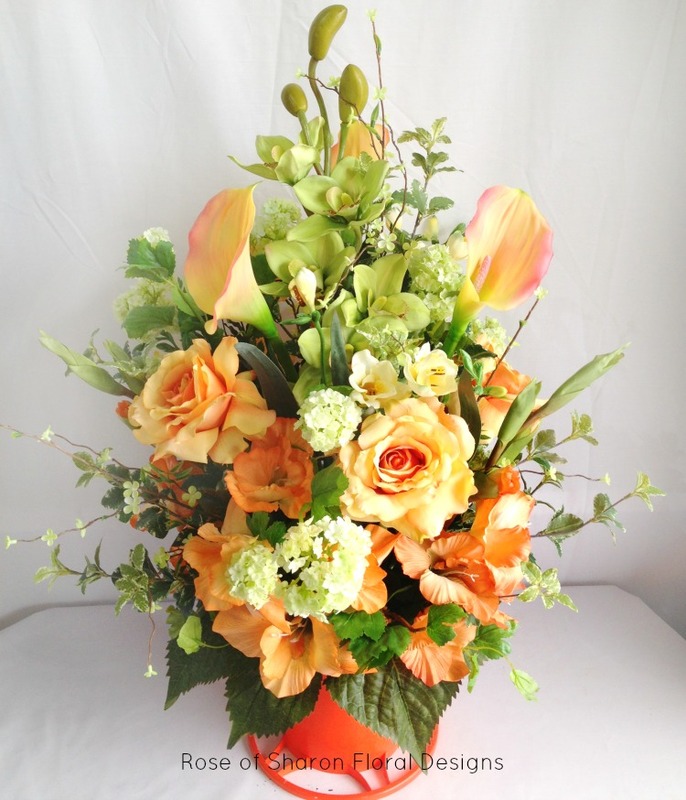 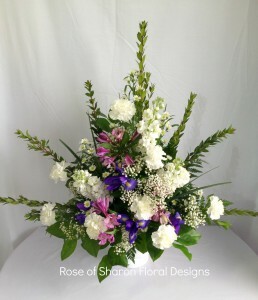 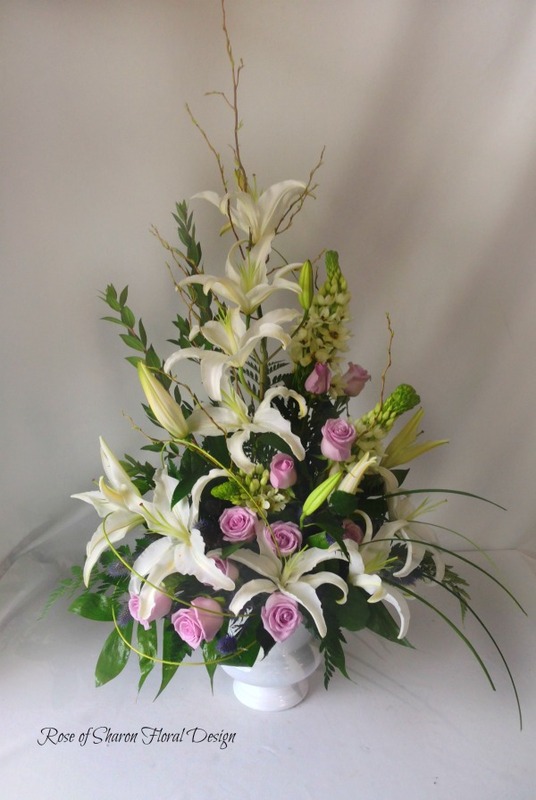 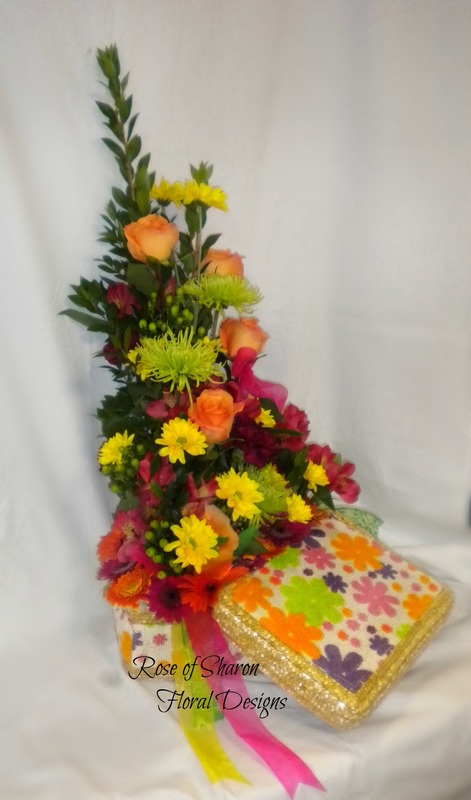 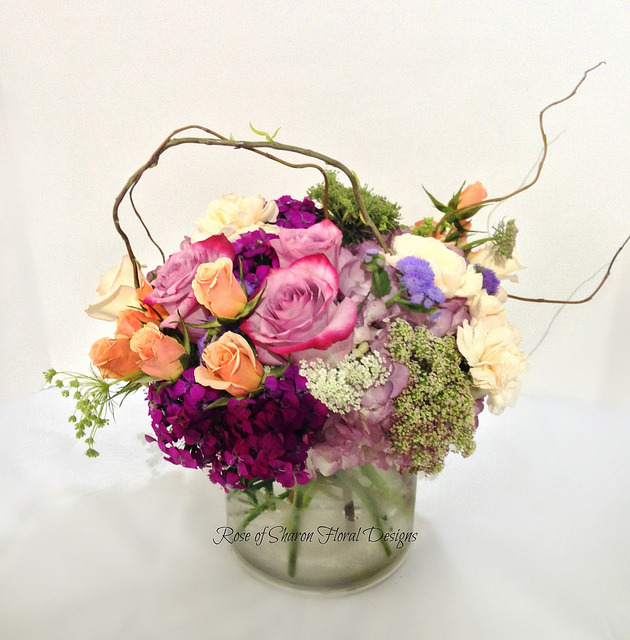 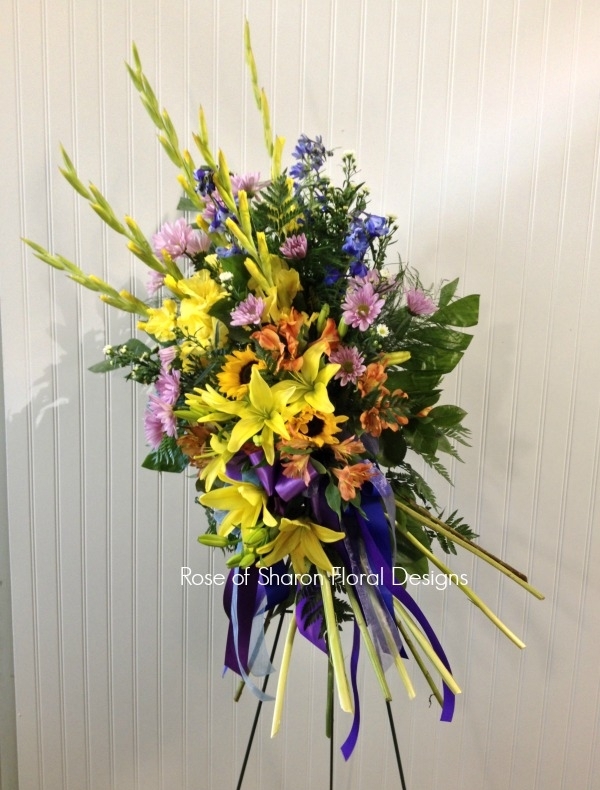 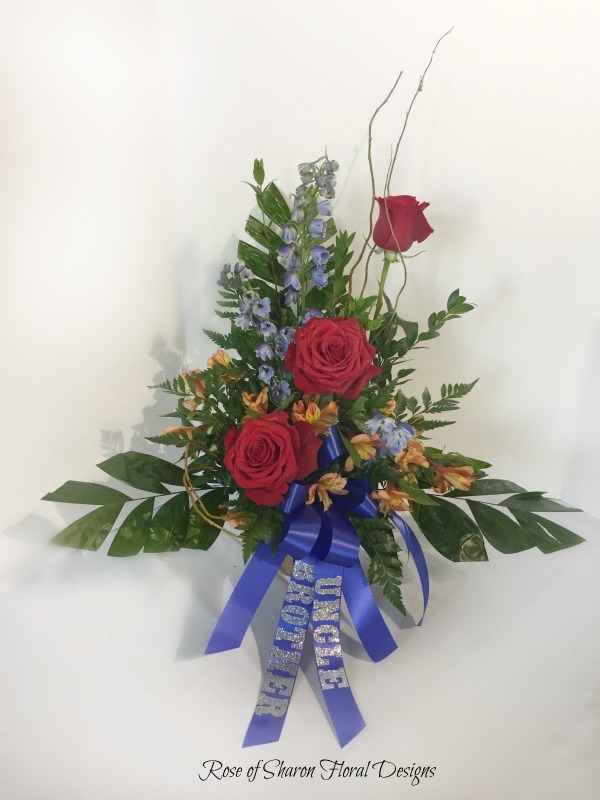 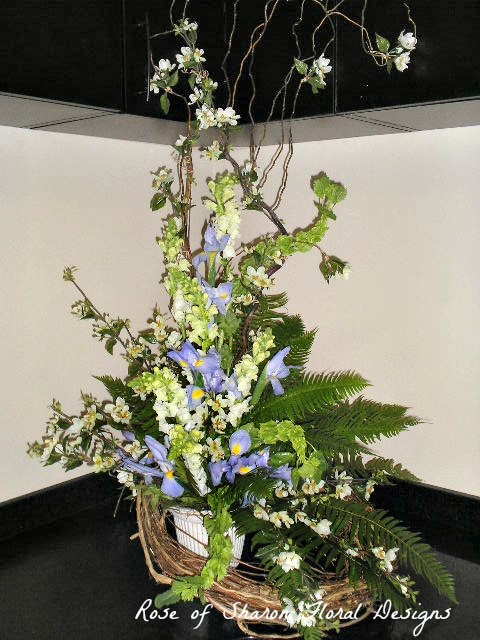 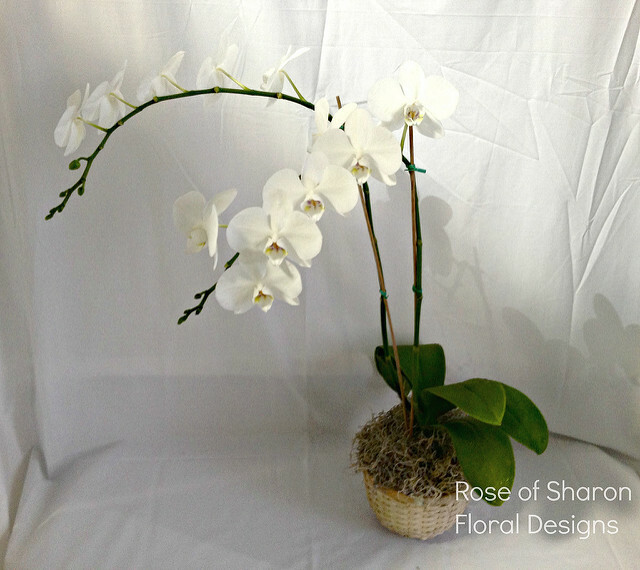 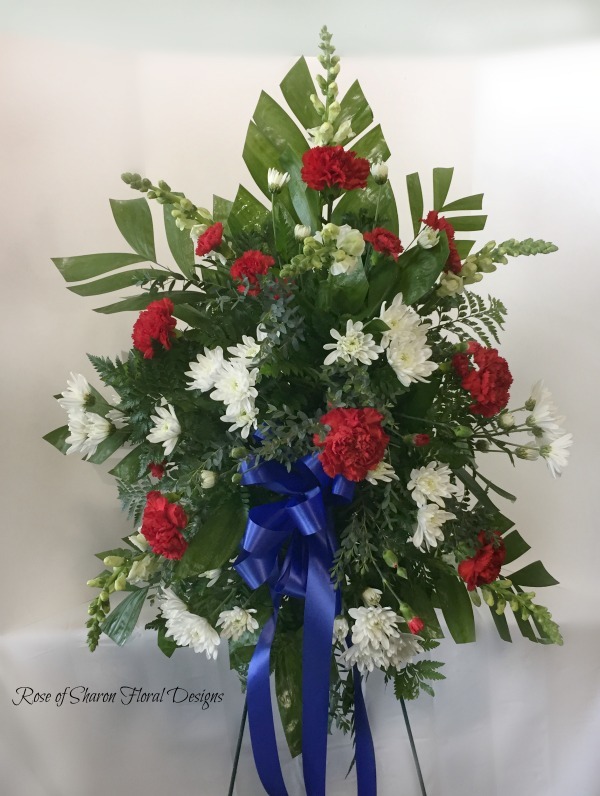 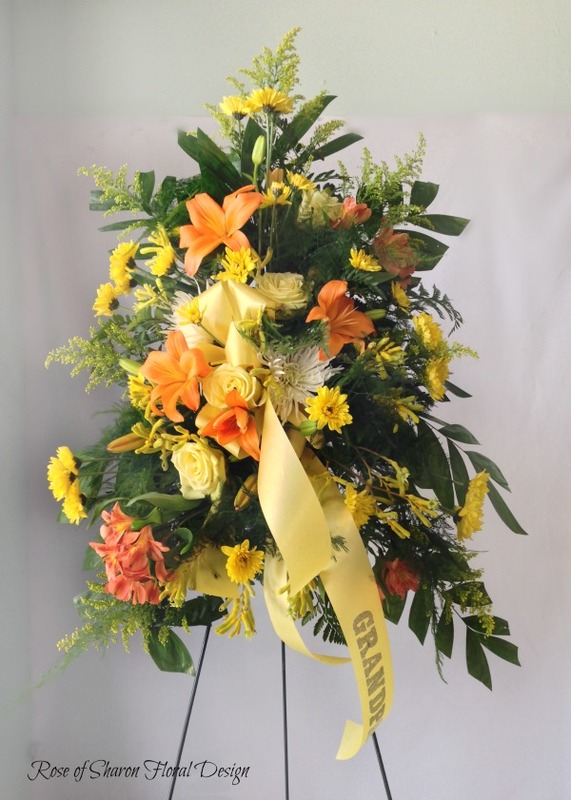 Sympathy arrangements are generally designed in a container with a water source. 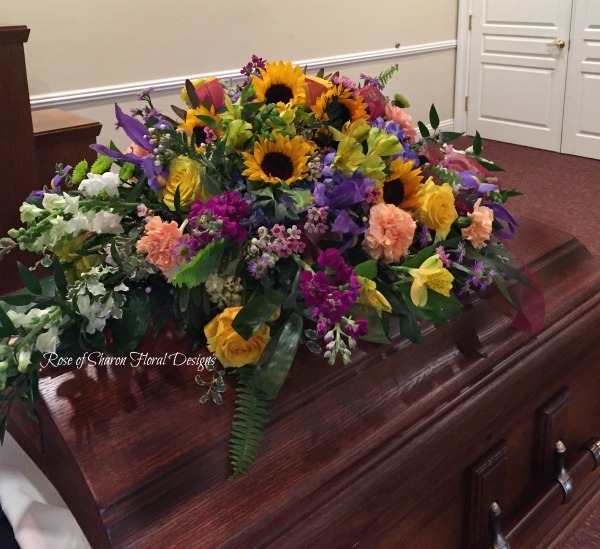 They are appropriate for the service and the graveside. 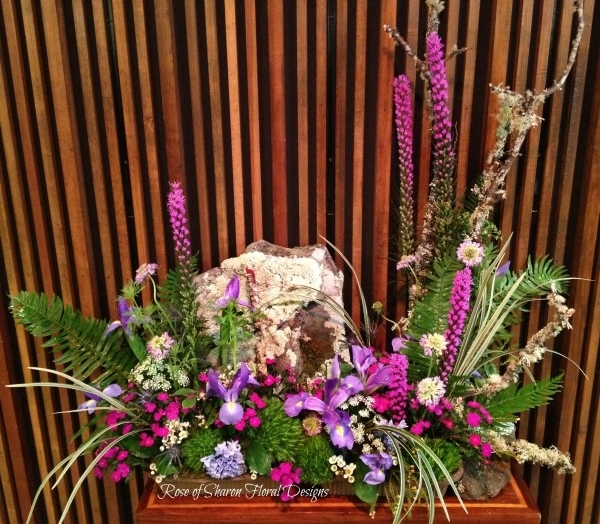 Standing sprays are desinged on an easle. 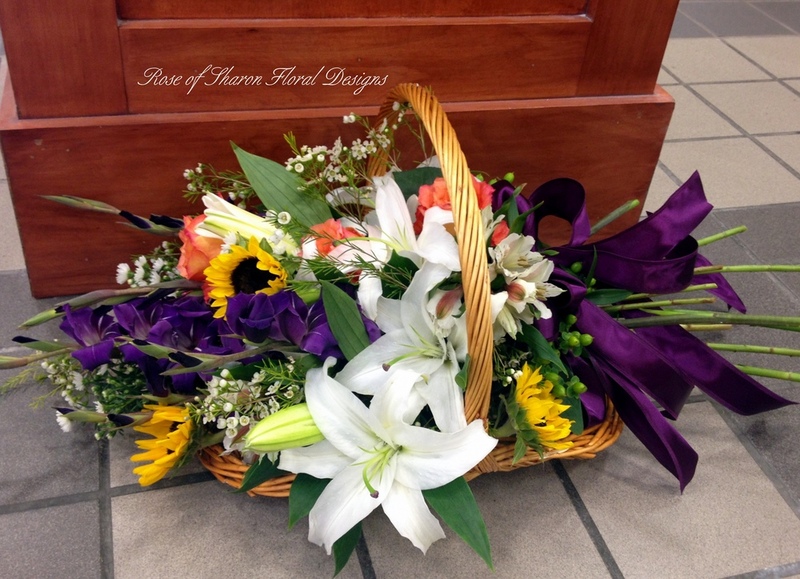 These are appropriate for both the service and the graveside. 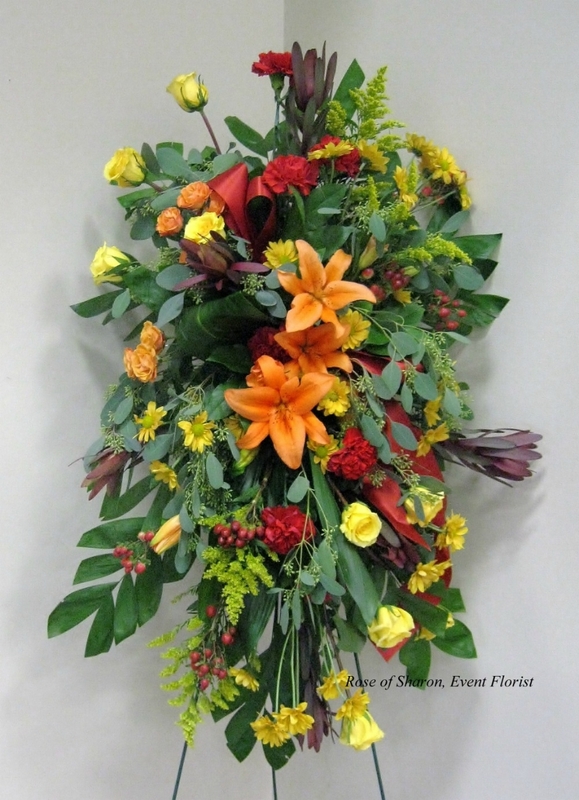 Often the easel will be removed and the flowers will be left on the grave site. 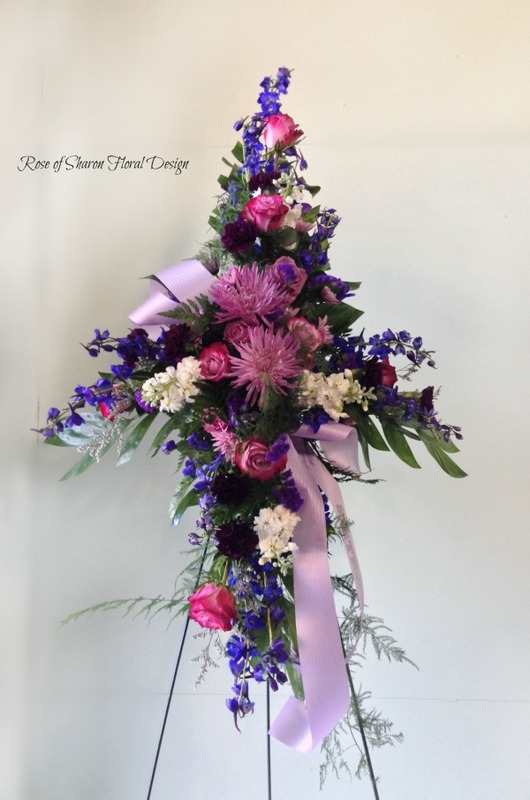 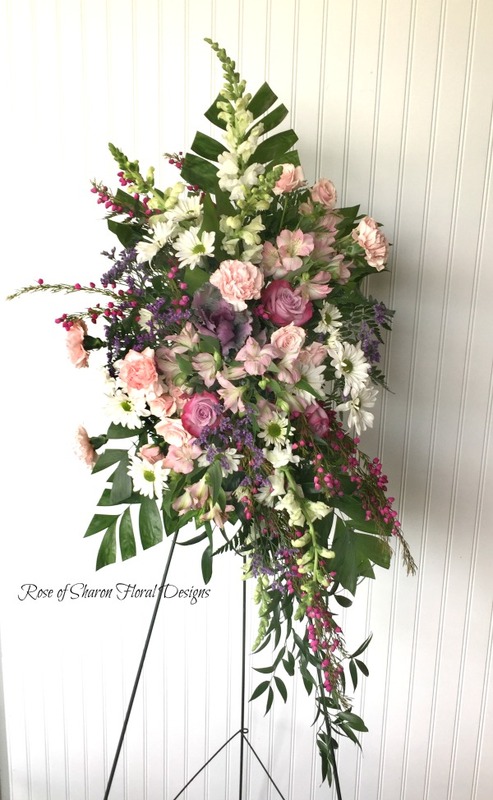 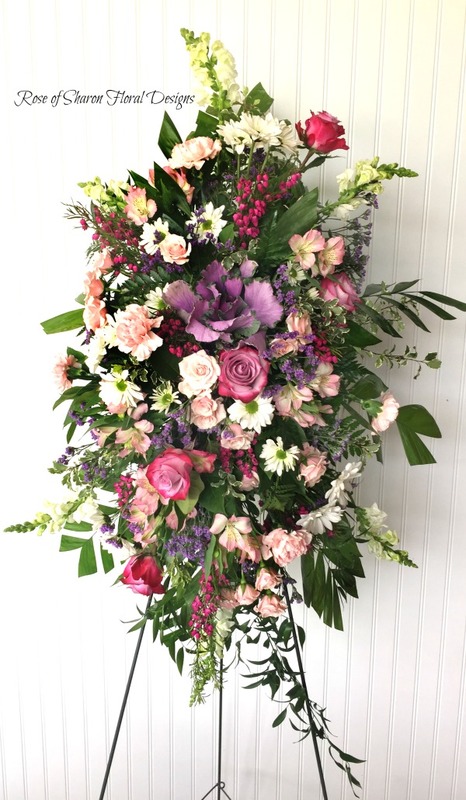 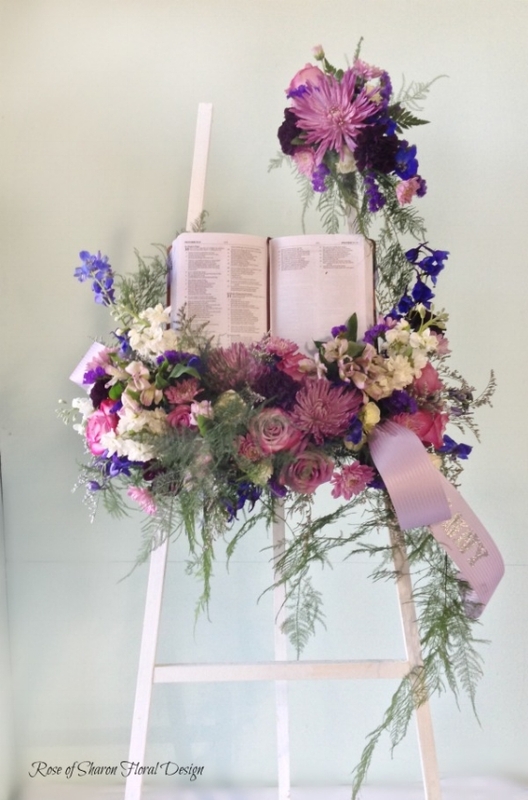 Often placed on an easel like the standing sprays, crosses, open hearts and filled hearts as well as other shapes are available to honor your loved one's life. 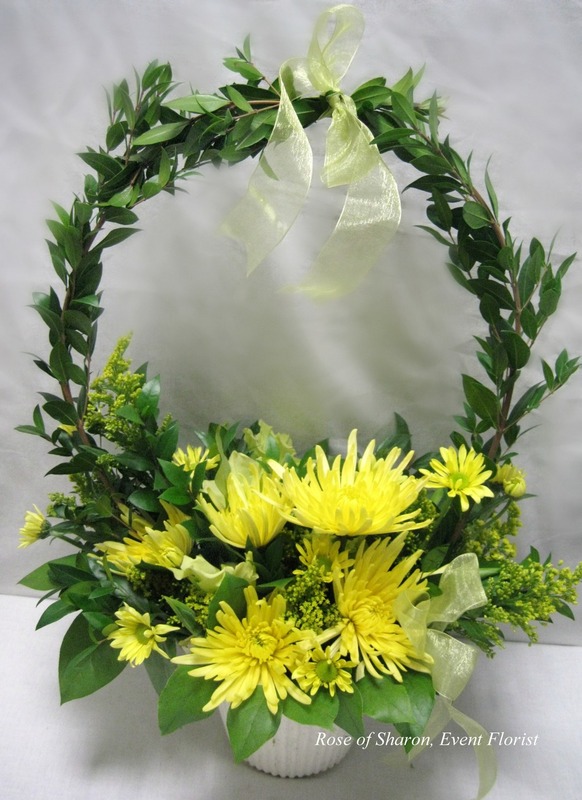 These are generally treated like standing sprays and are left at the grave site. 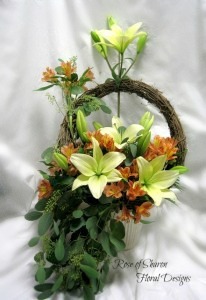 Vase arrangements and plants are appropriate for the service and the home. 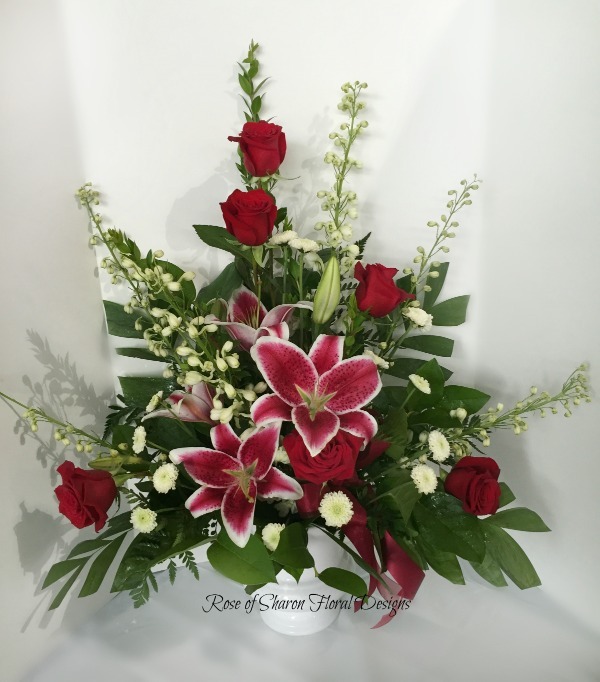 Casket sprays can be designed with personal touches to honor your loved one. 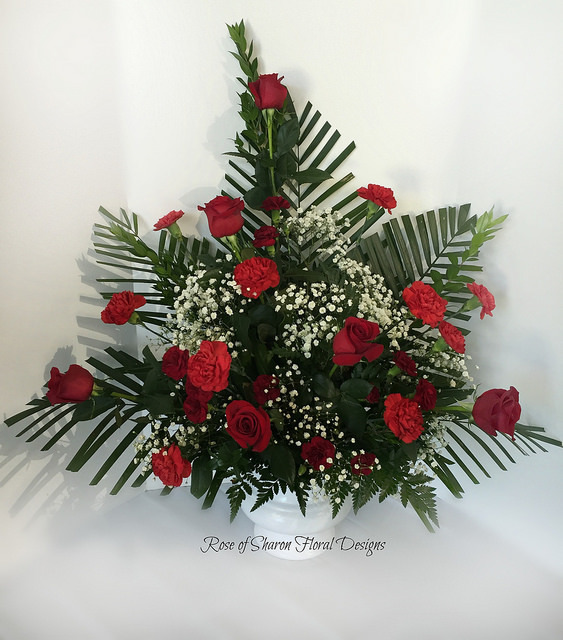 Both full and half casket sizes are available for closed and open casket services. 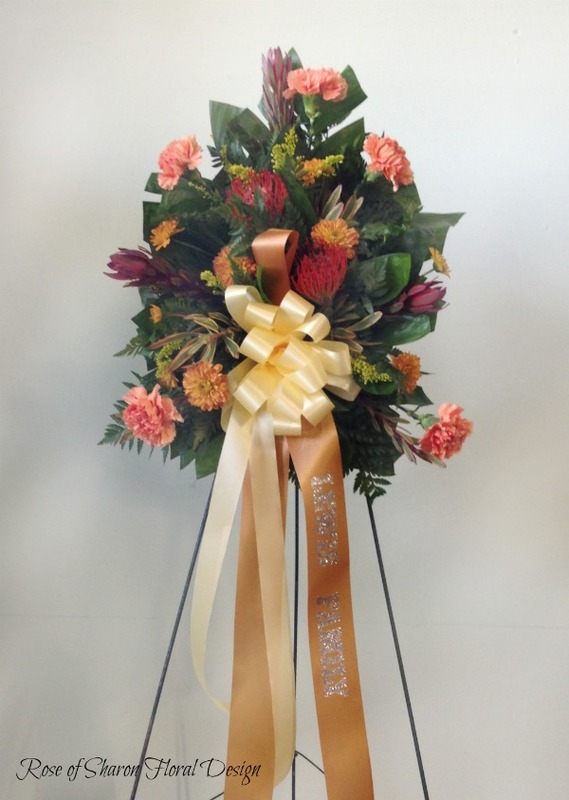 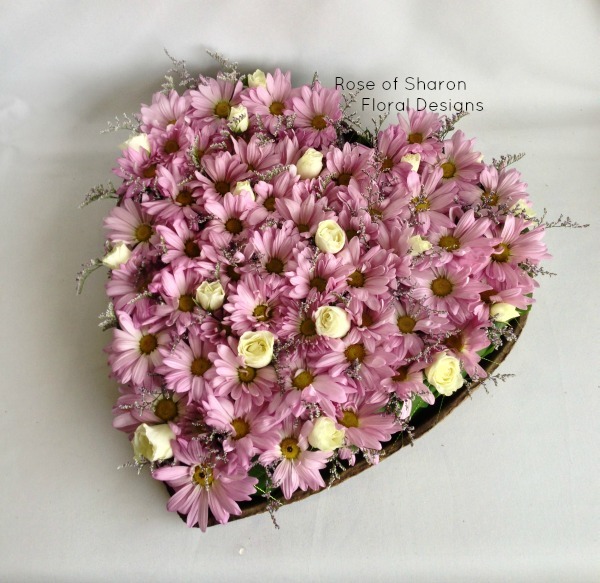 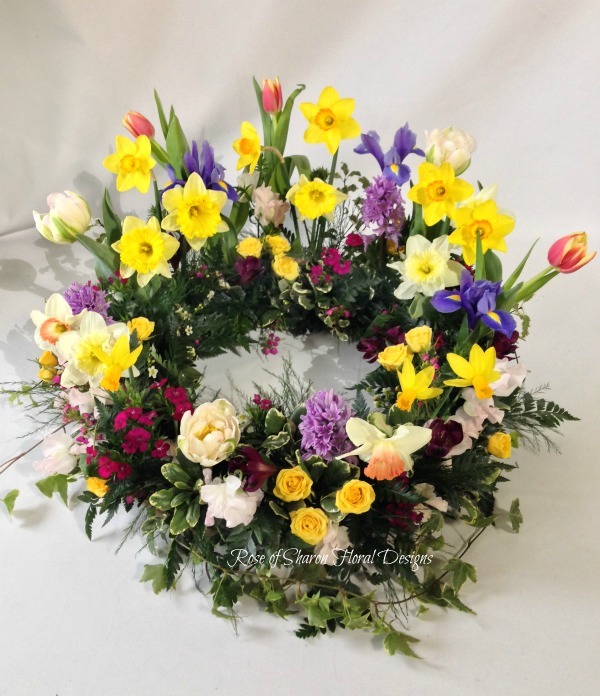 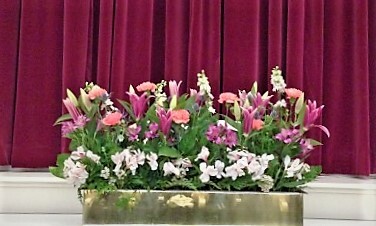 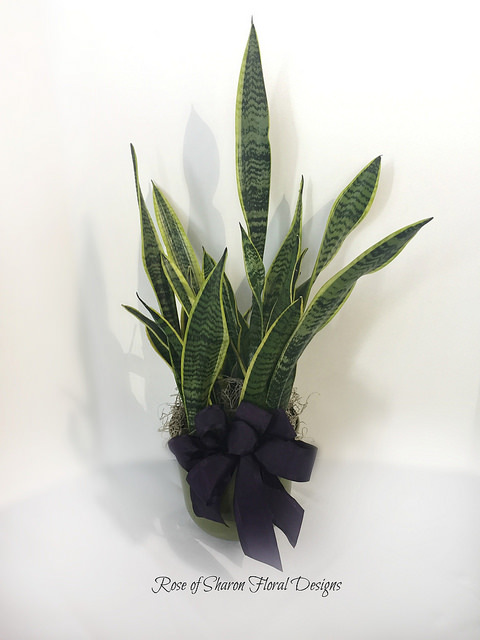 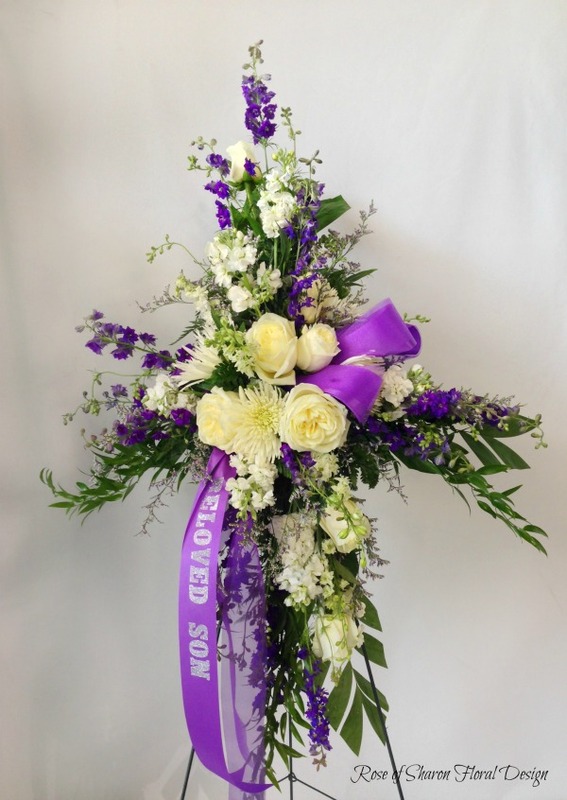 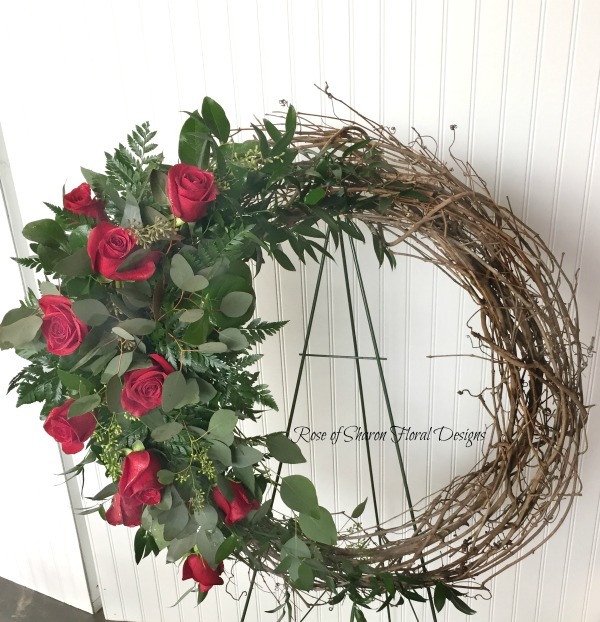 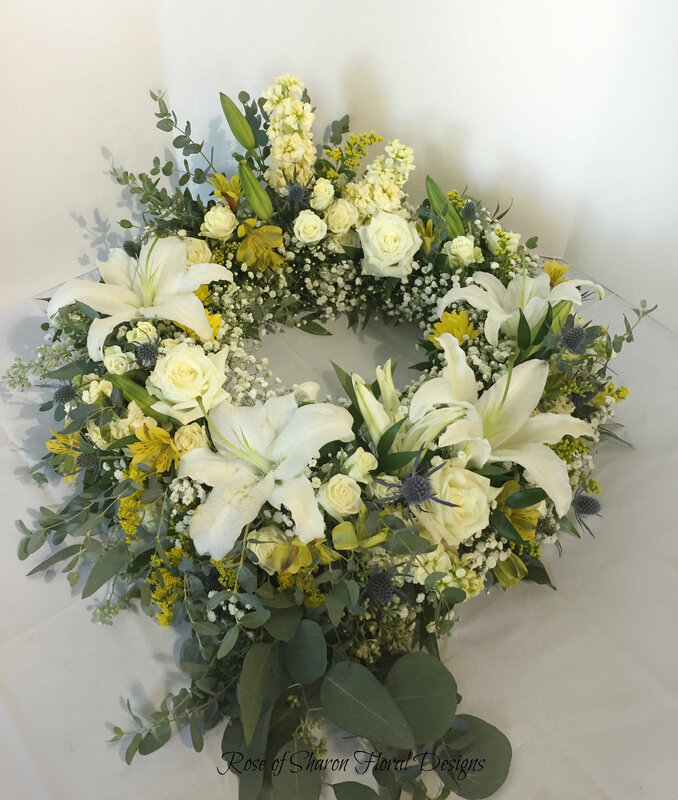 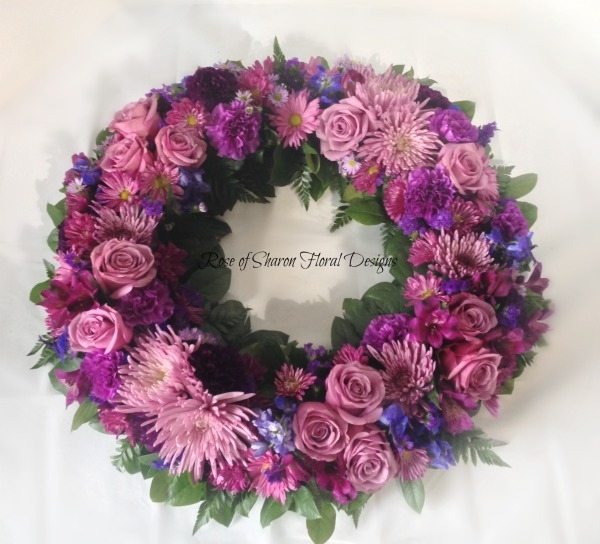 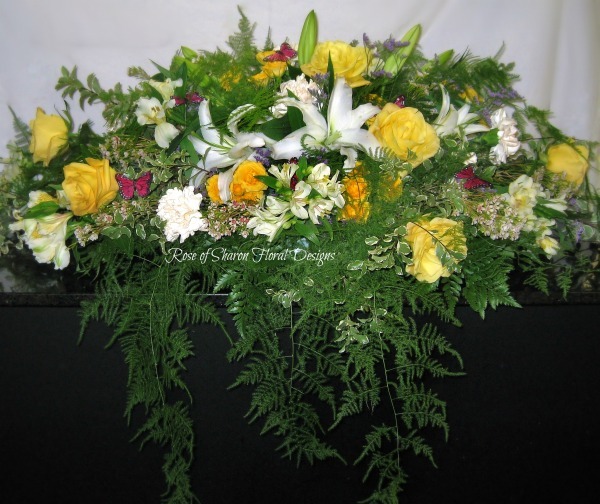 Table wreaths are designed to surround the cremation urn. 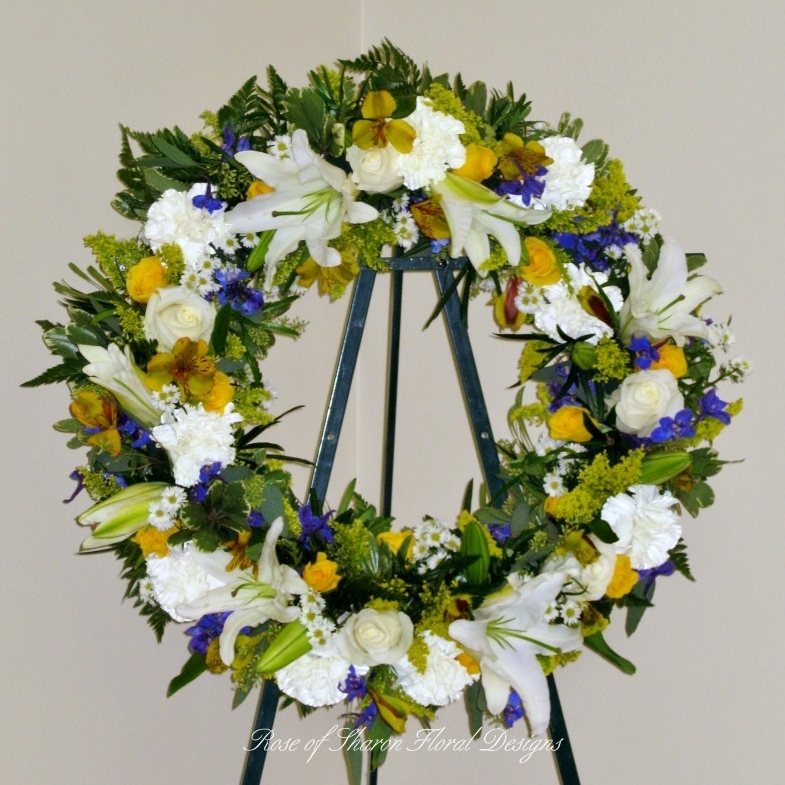 Memorial Tributes are appropriate when the remains of the deceased are not present. 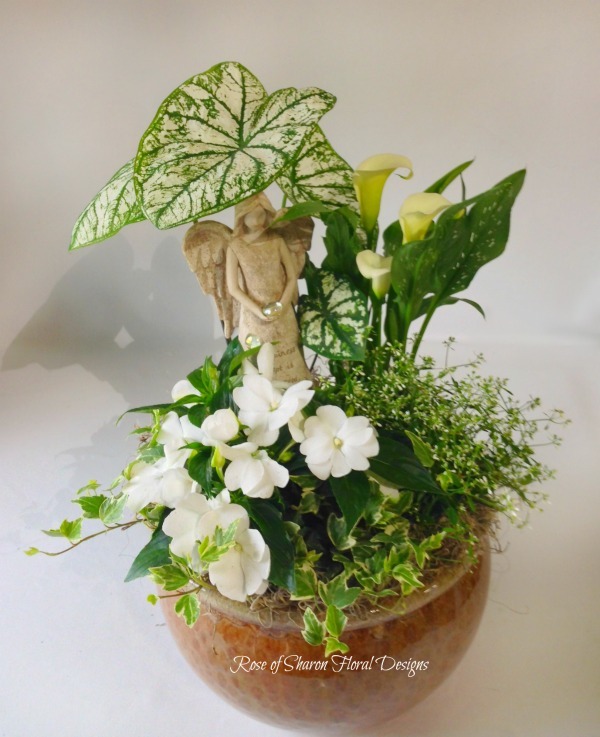 All sympathy pieces can be customized to show a favorite hobby or trait. 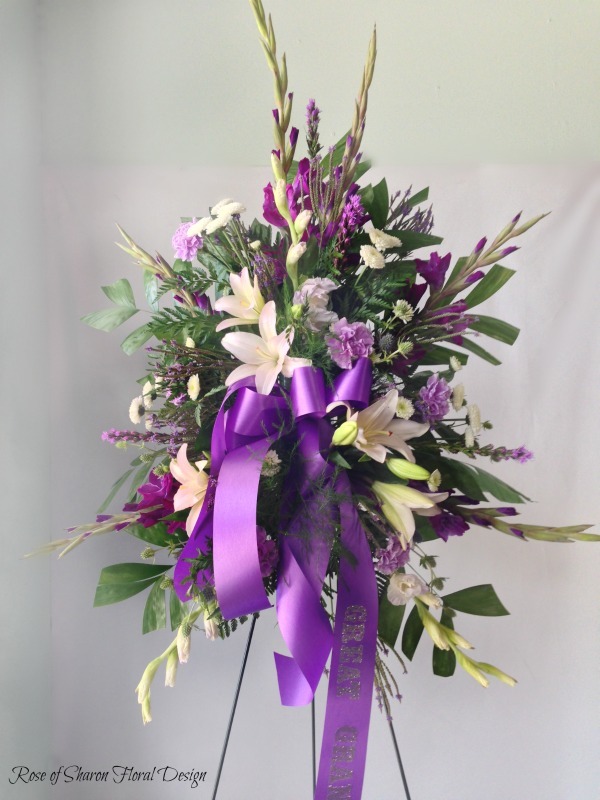 For example, the Ozark tribute was for a man who loved the Ozark woods. 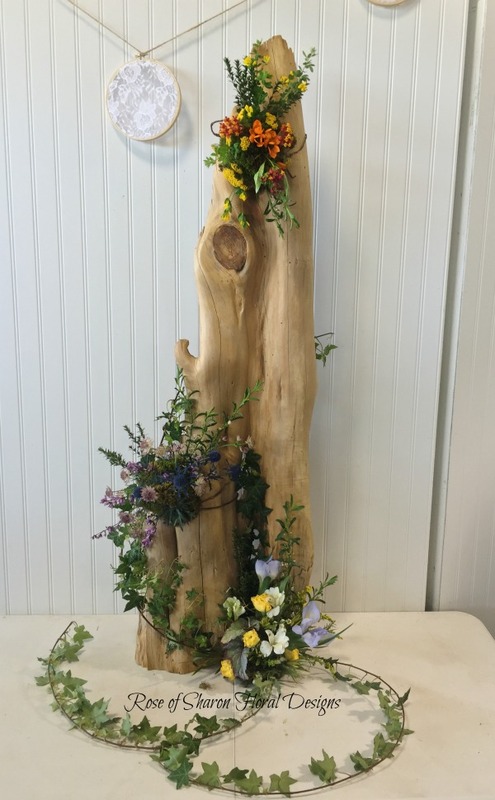 All items used could be found in a walk through the woods. 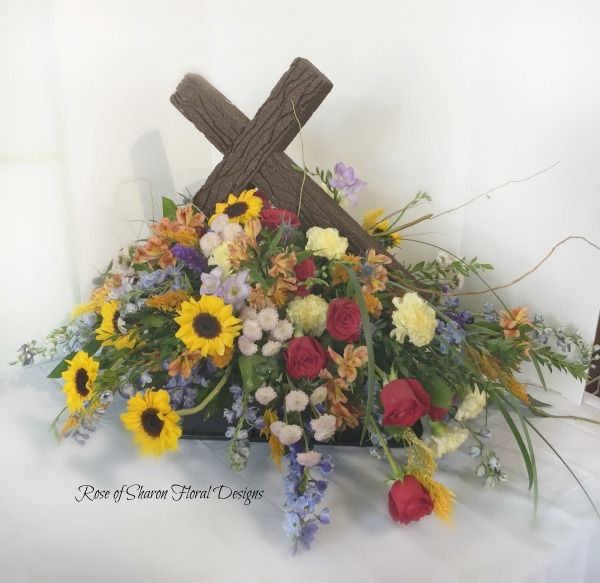 The Cypress wood tribute was designed for a man who made furniture from reclaimed cypress.